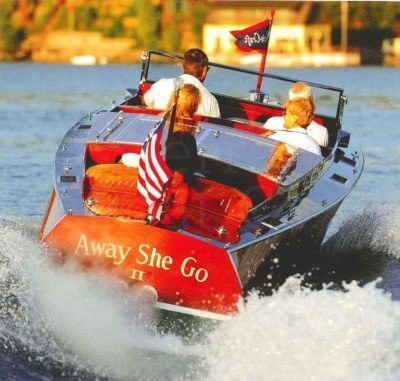 20′ and Over. 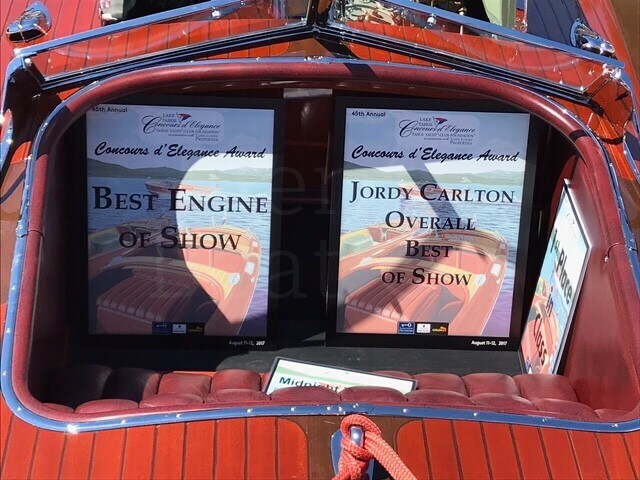 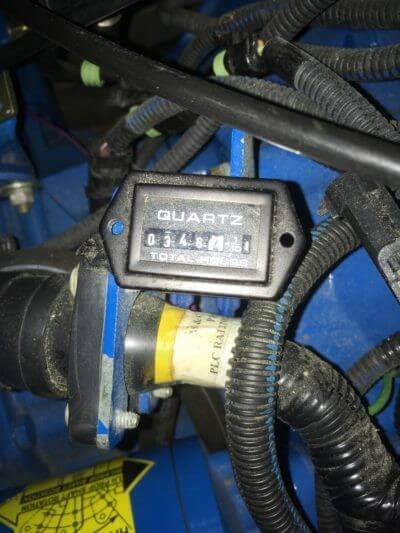 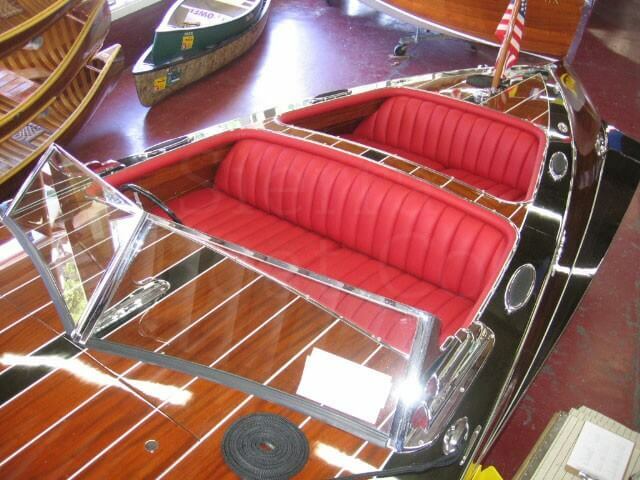 This category represents runabout boats 20′ and over. 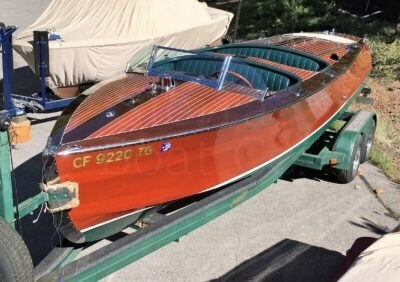 They may include triple cockpit boats. 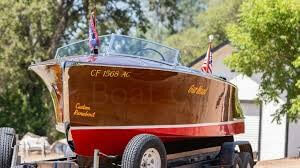 These boats are better suited to rough water and may have carrying capacity of up to eight people. 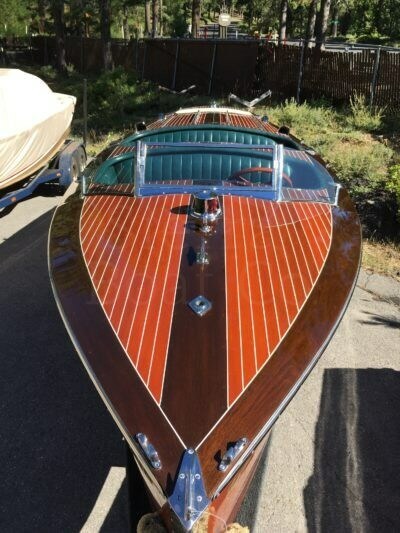 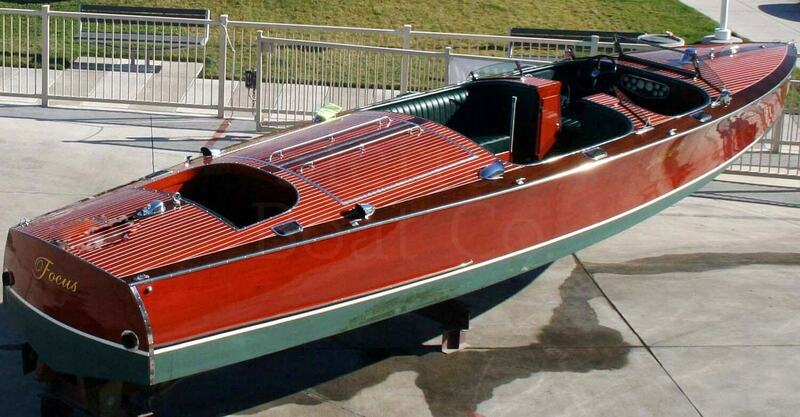 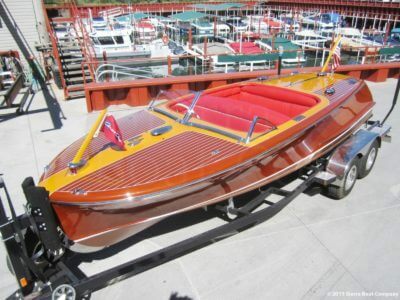 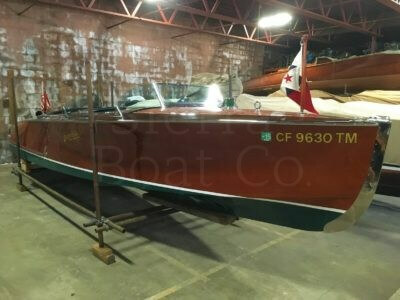 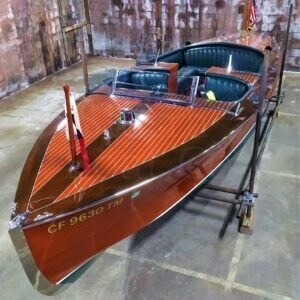 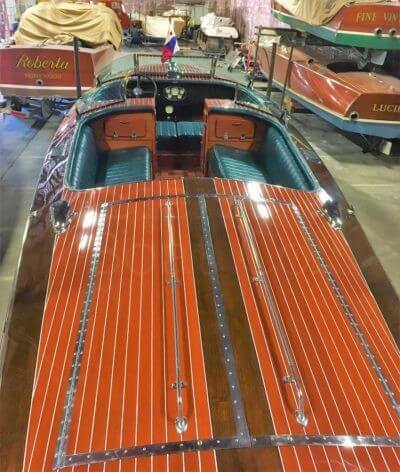 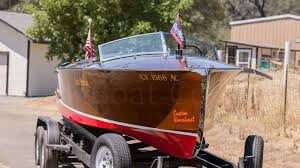 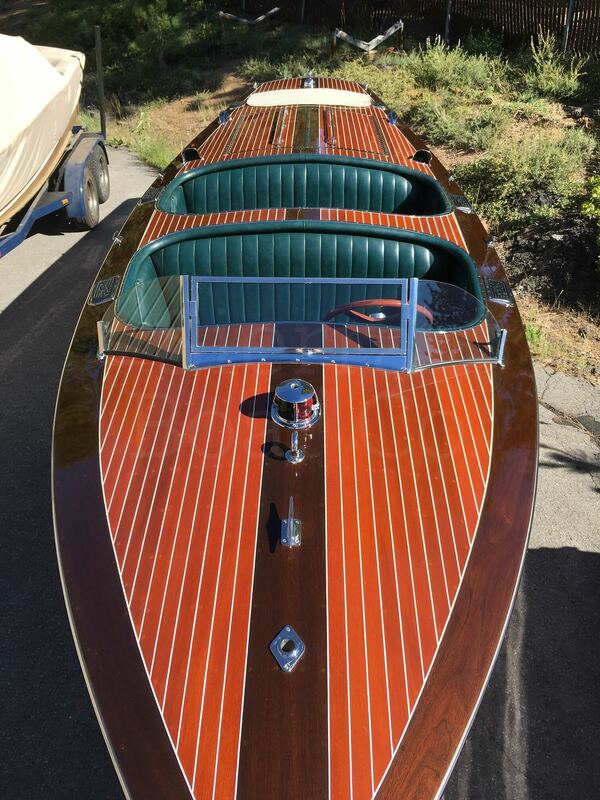 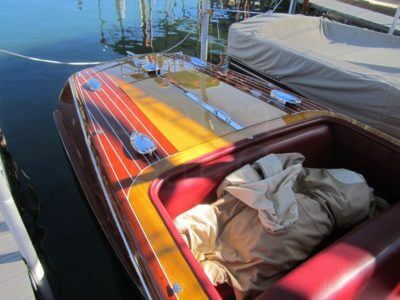 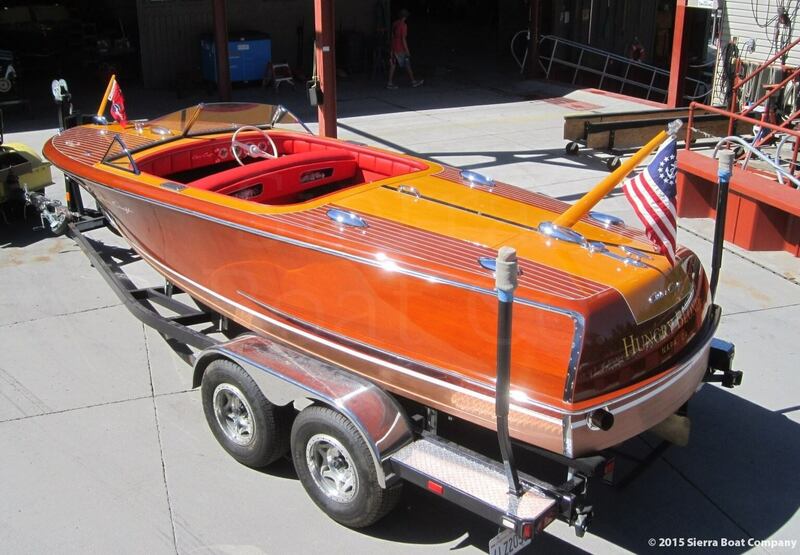 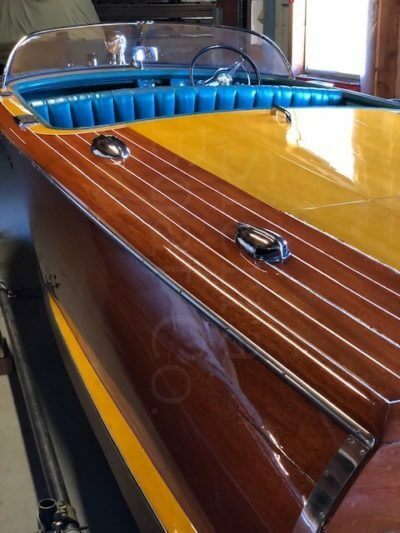 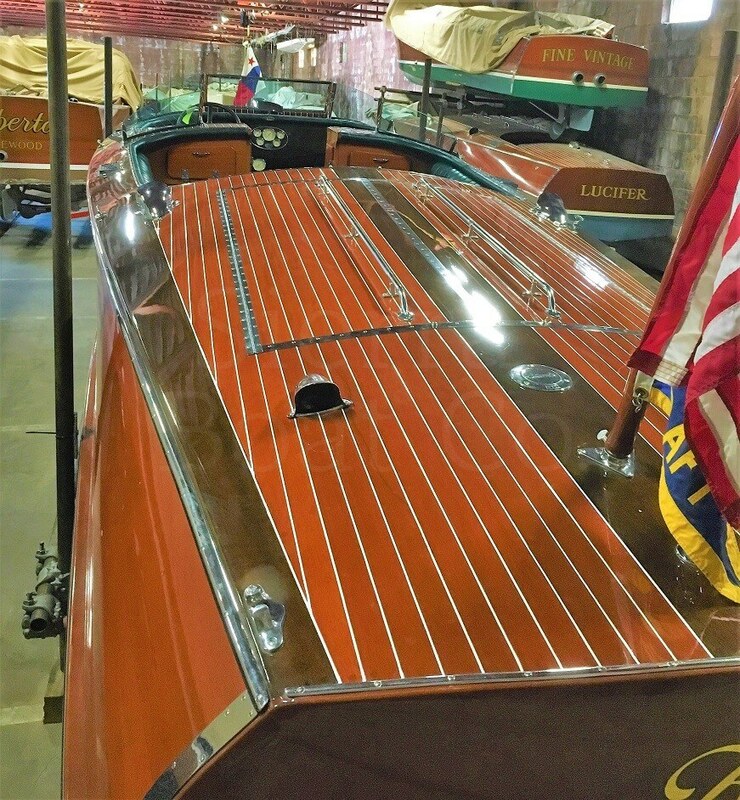 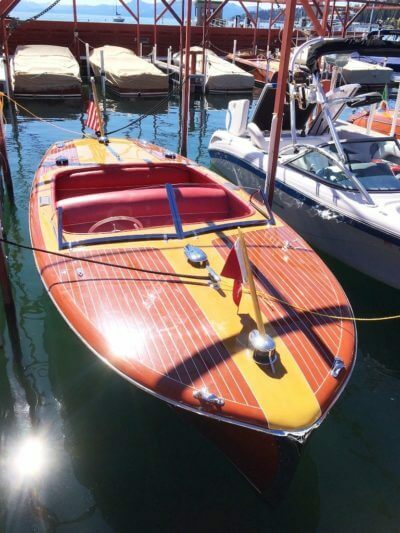 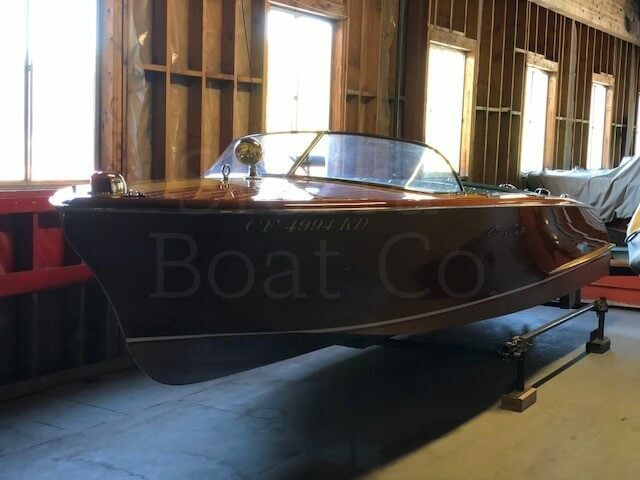 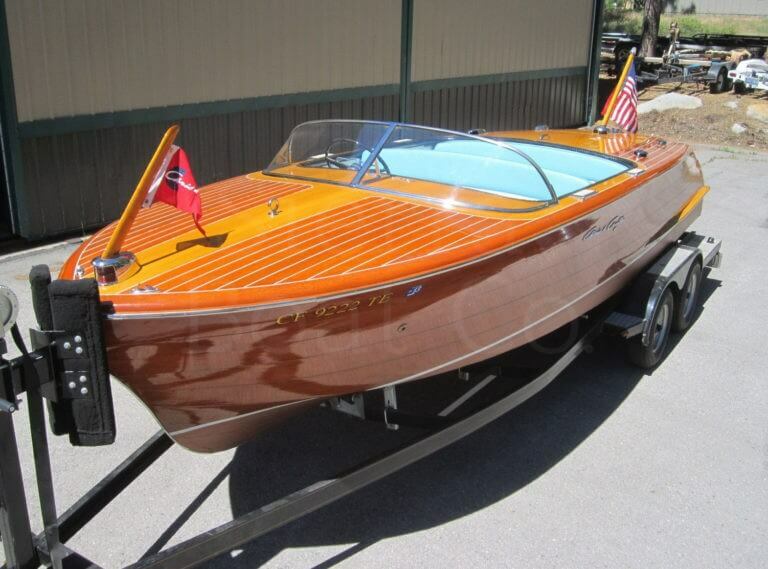 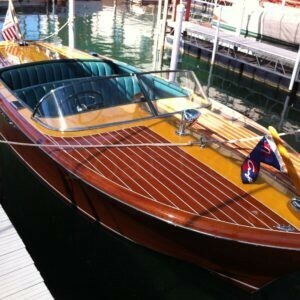 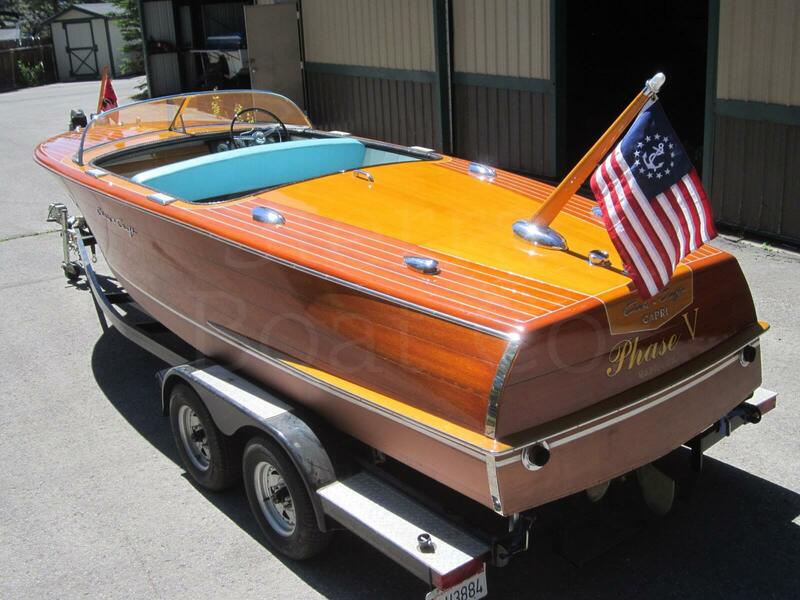 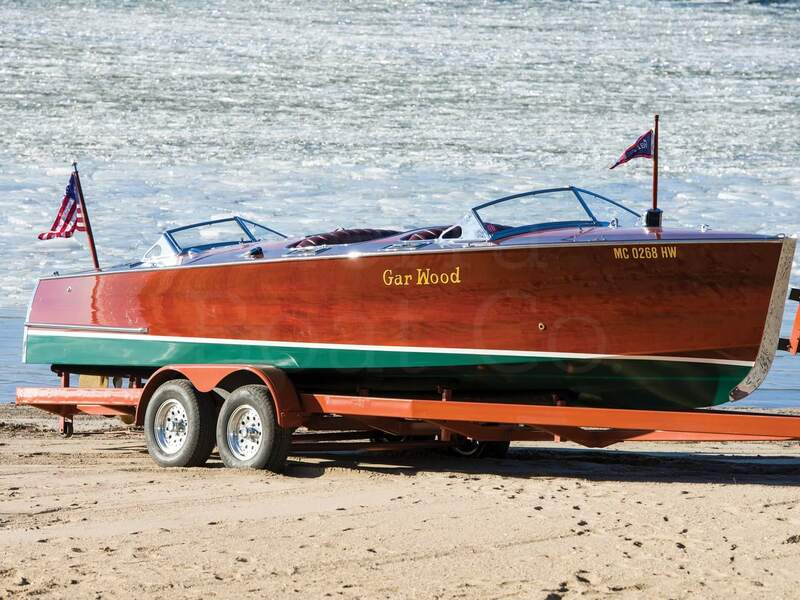 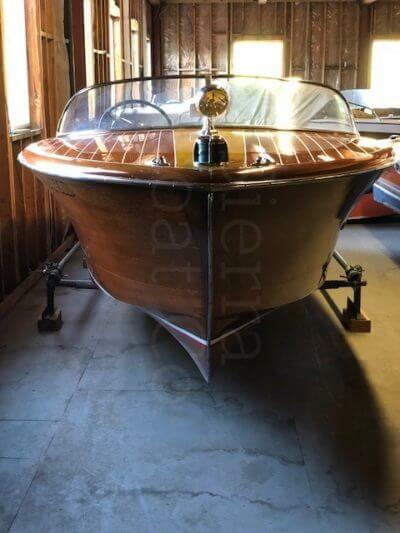 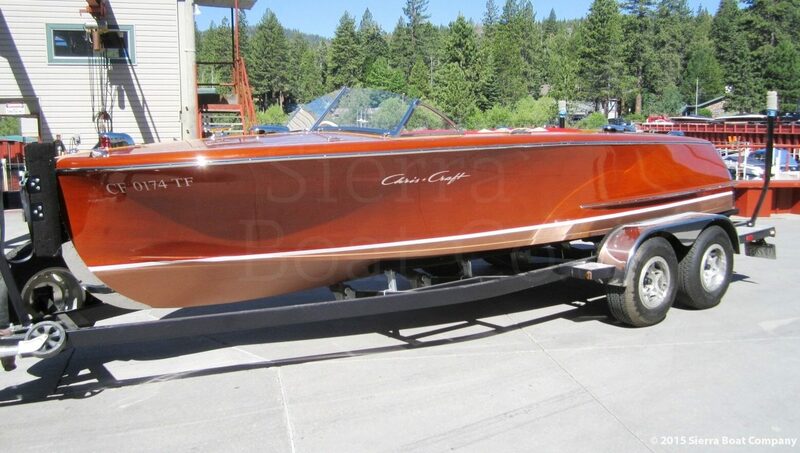 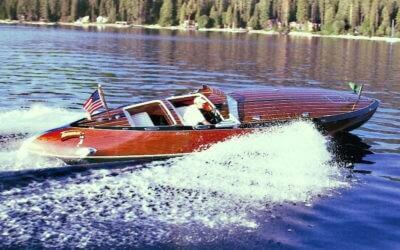 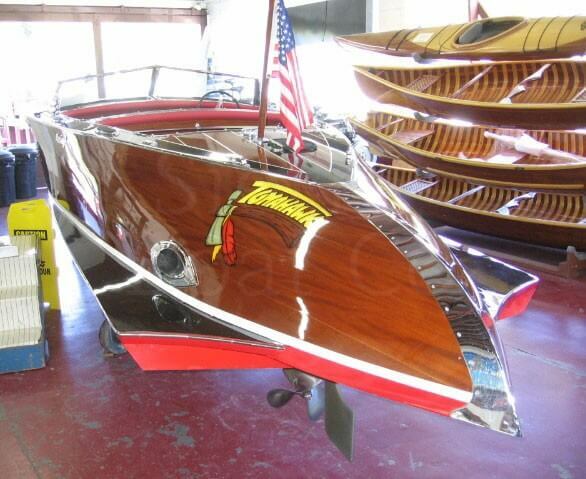 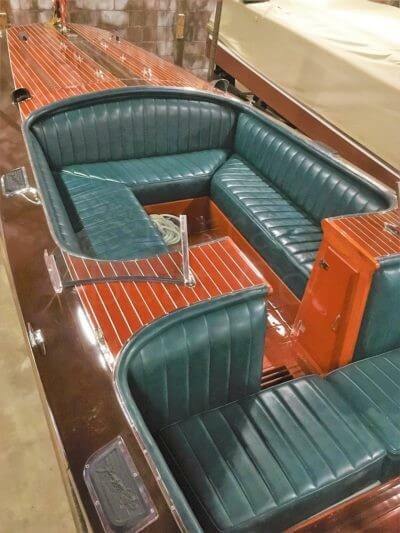 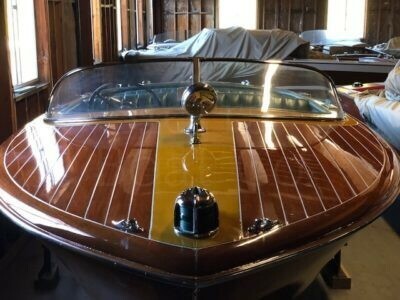 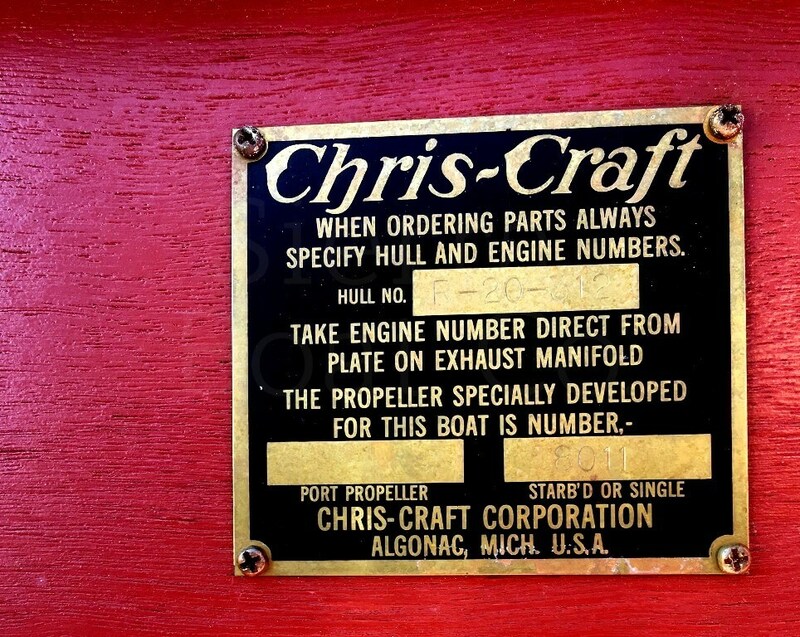 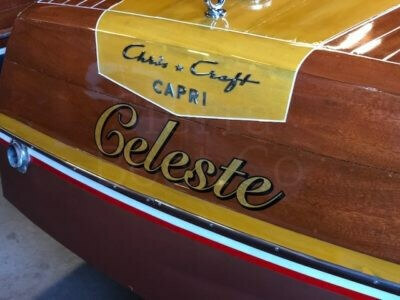 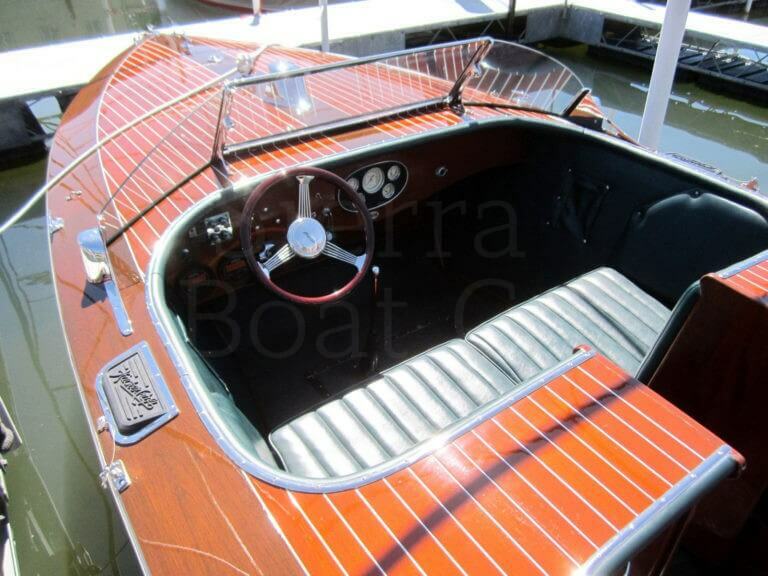 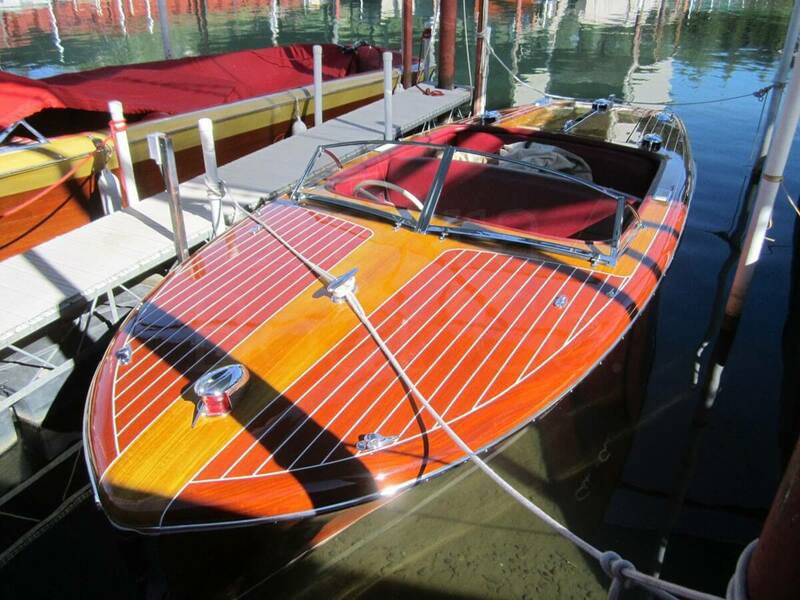 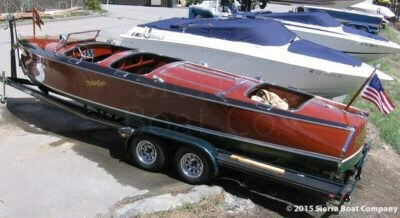 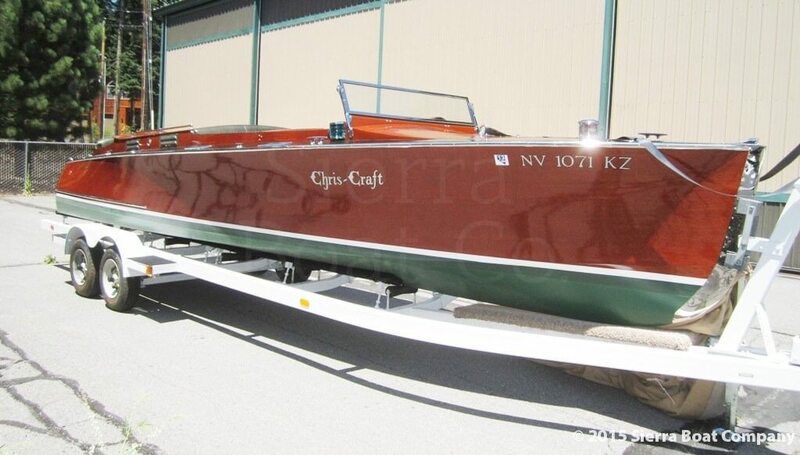 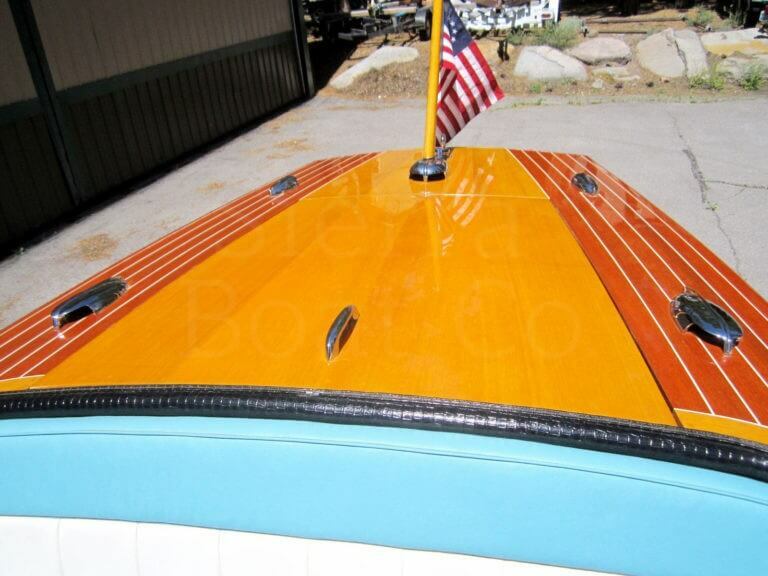 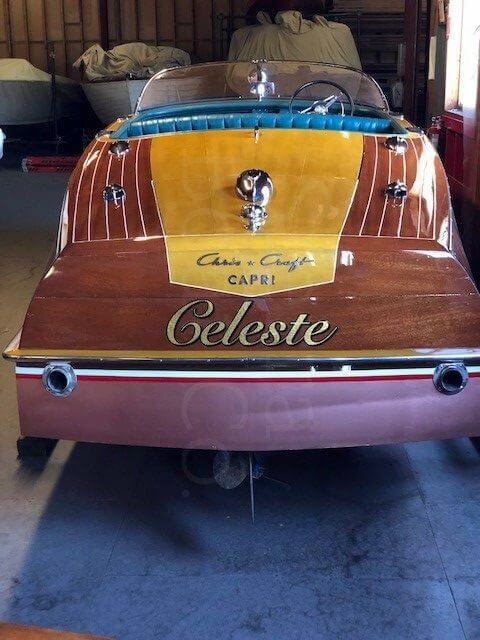 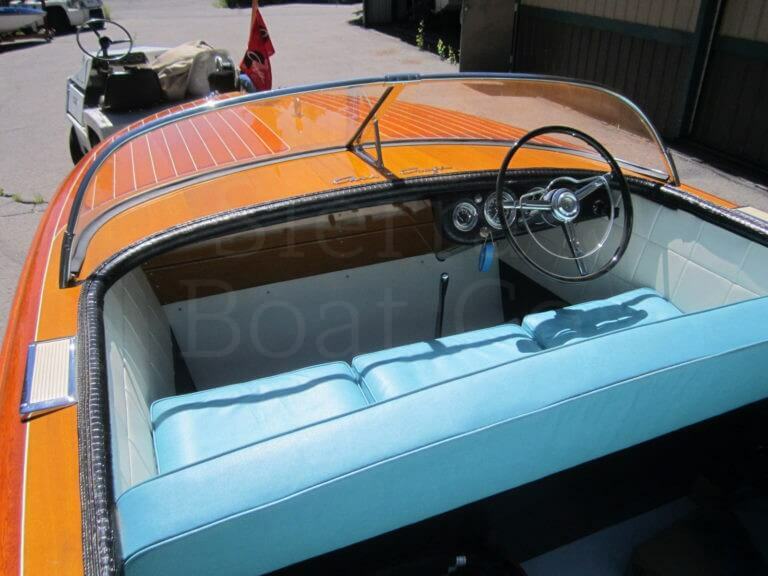 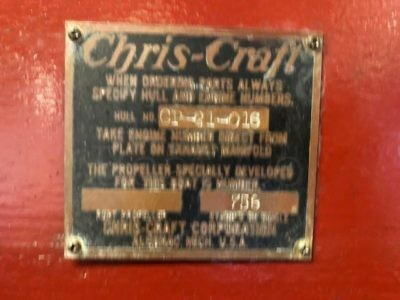 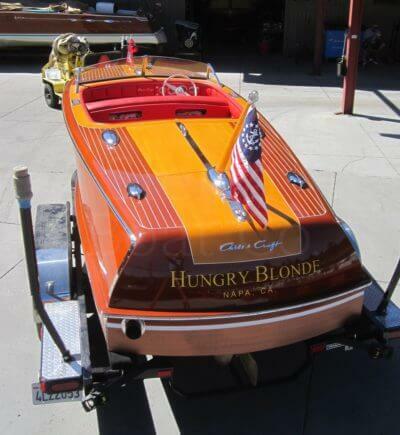 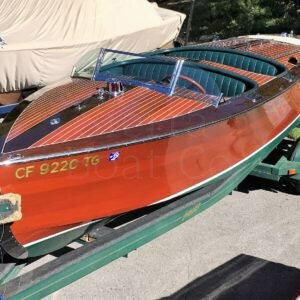 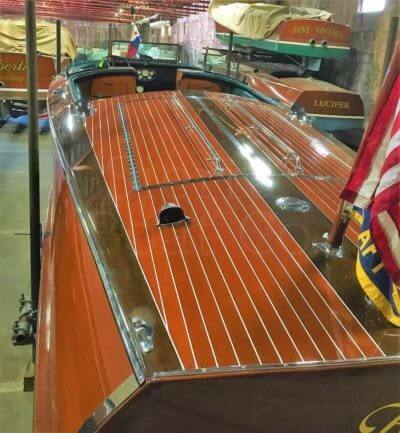 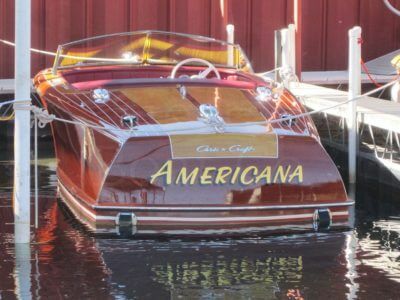 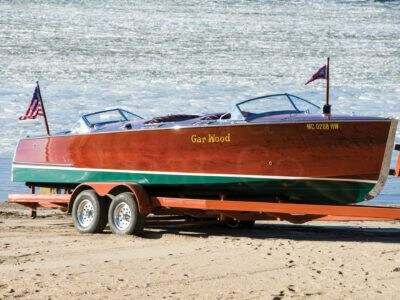 1949 Chris Craft 20ft Custom. 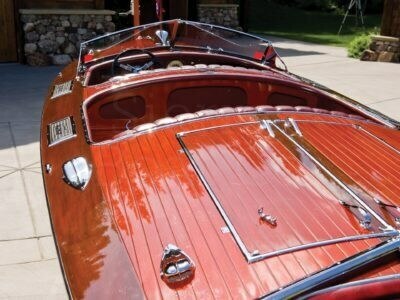 This is hands down one of the finest boats I have listed. 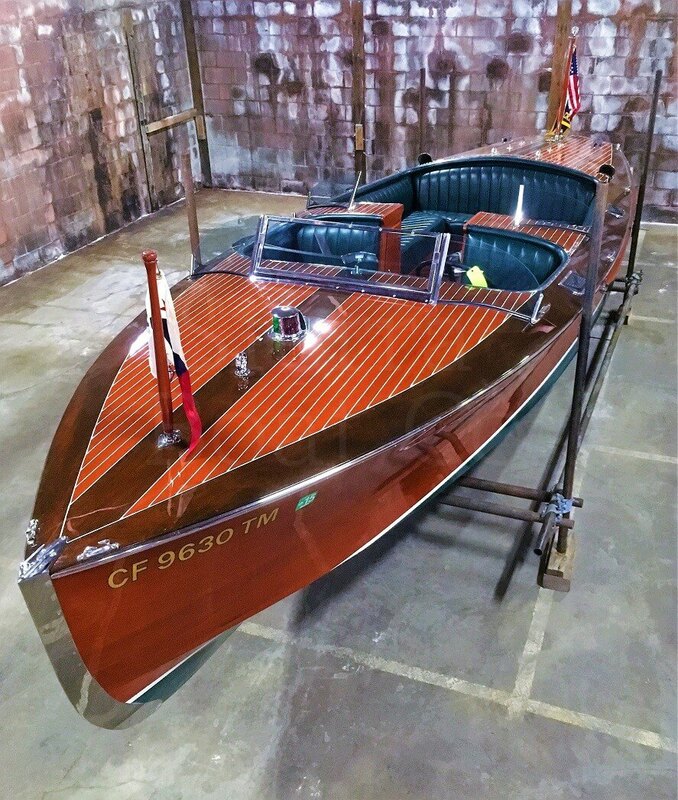 It was fully re-constructed in 2013 by esteemed restorer Dan Nelson in Minnesota. It is essentially all new, using the correct Honduran mahogany. 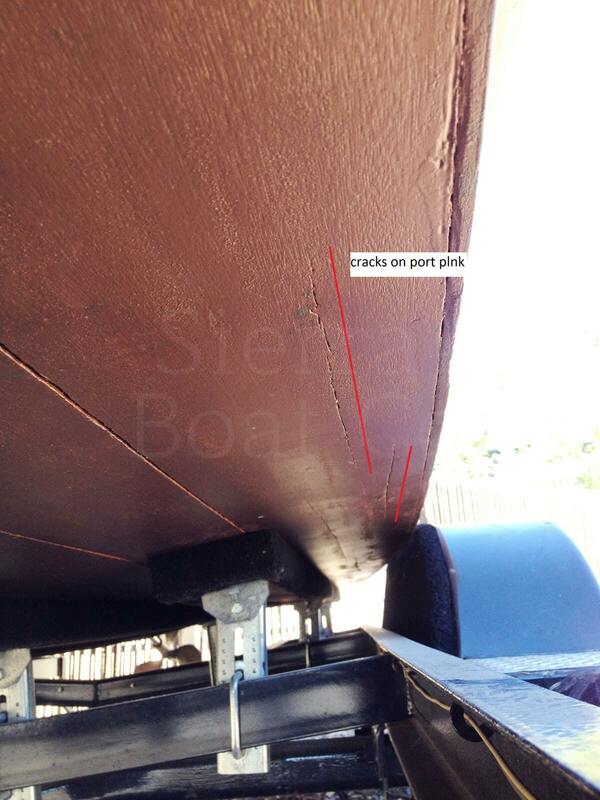 The boat is entirely glued, bottom sides and decks. In three years in California it does not have a single crack! 20 Customs were notoriously under built and the methods used, while not traditional, are the only way to enjoy this model without the durability problems of the original. 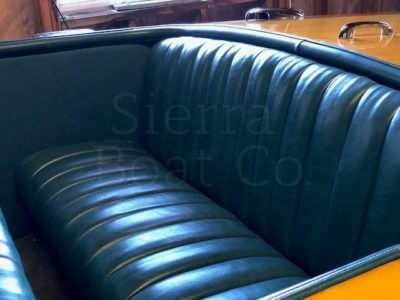 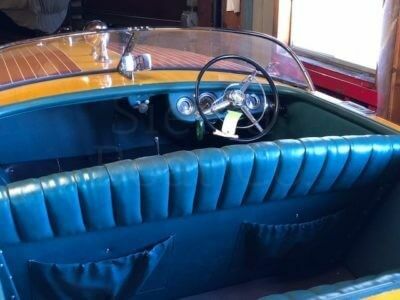 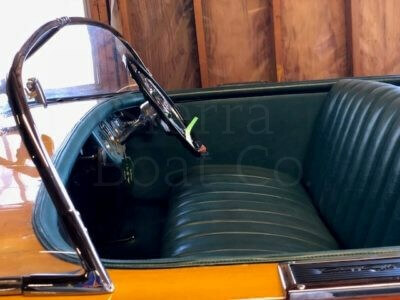 Correct color and pattern leather upholstery was done by Rod Souza. 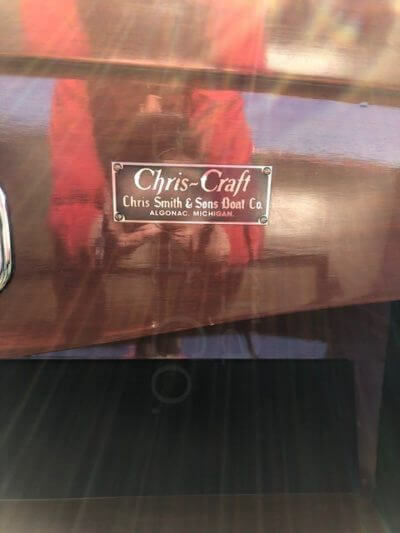 The original 158 hp Chris Craft MBL has been fully re-built. 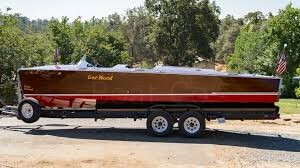 Comes on a custom fitted trailer. 1998 Hacker-Craft 24ft Triple Cockpit Runabout. A third owner boat, Sapphire has been professionally cared for since it was delivered here new, in 1998. 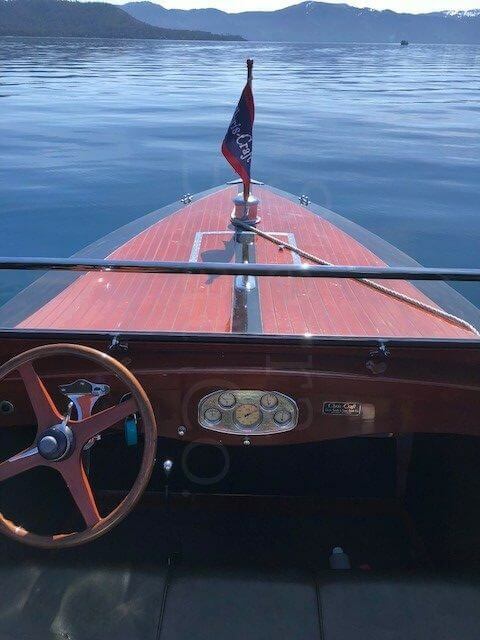 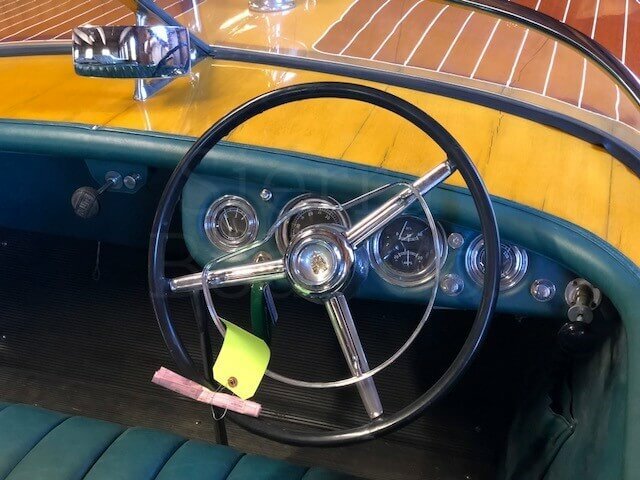 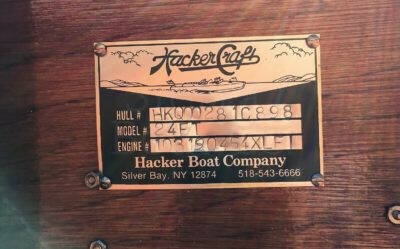 In the Late 80’s, Bill Morgan of Silver Bay NY resurrected the historic Hacker name and began to build new Hacker-Crafts based on the original designs from the 30’s. 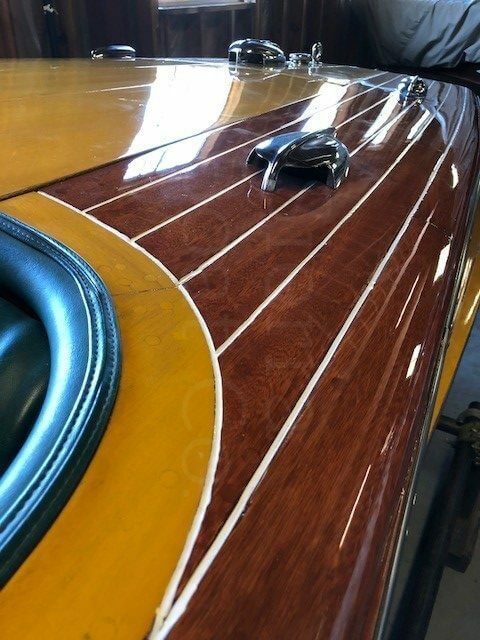 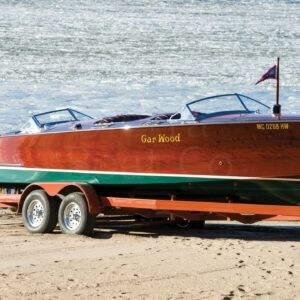 These are not your granddads boat, modern Hacker-Crafts feature wood epoxy construction. 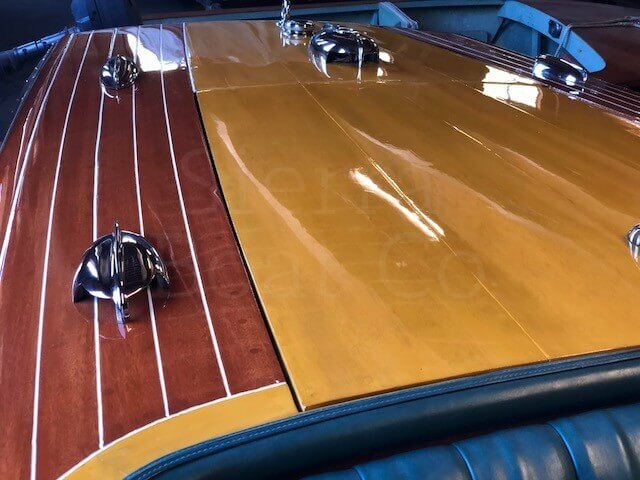 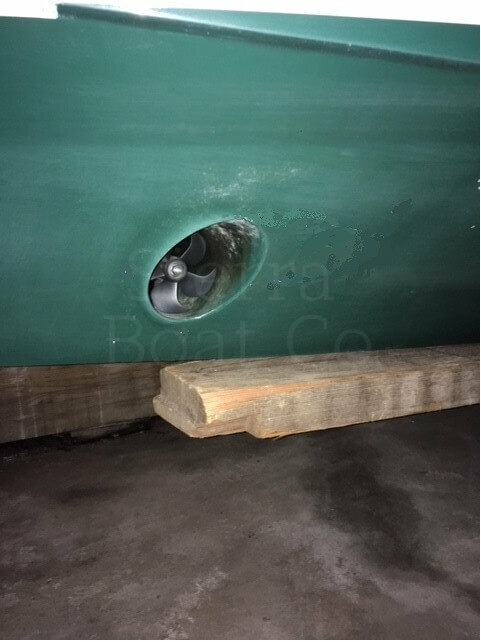 These boats will go in the water leak free due to the multiple lamination of plywood and solid mahogany with marine epoxy flues. 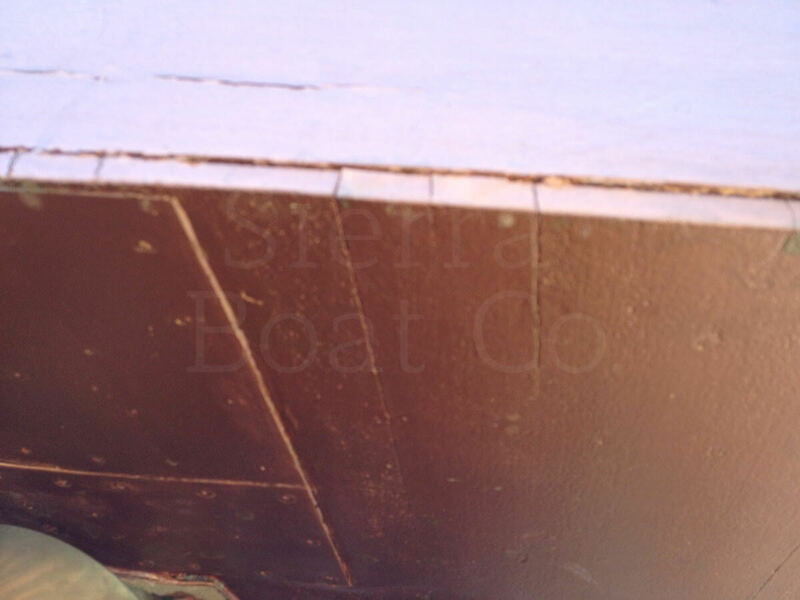 The hull sides as well as the decks receive the same robust construction. 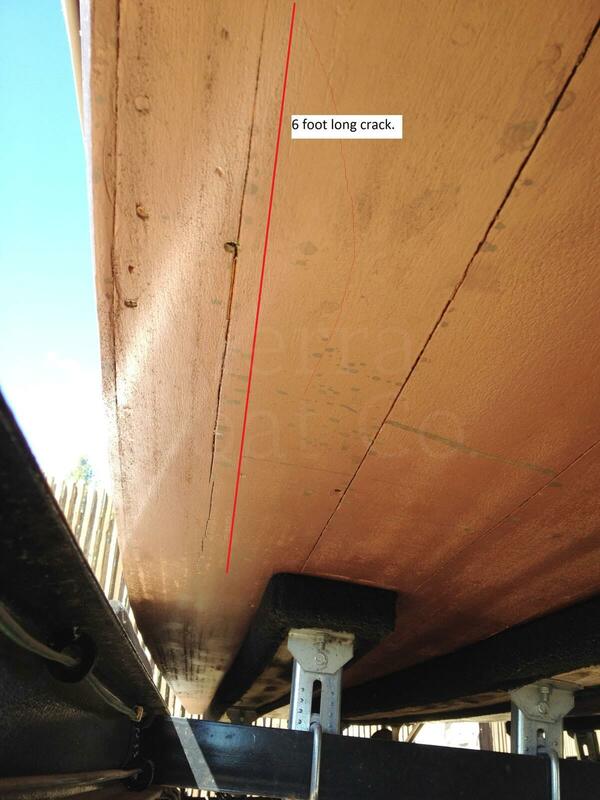 Plank movement is virtually reduced, lowering maintenance costs. 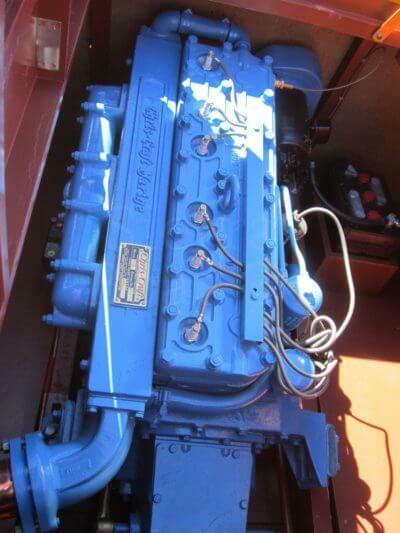 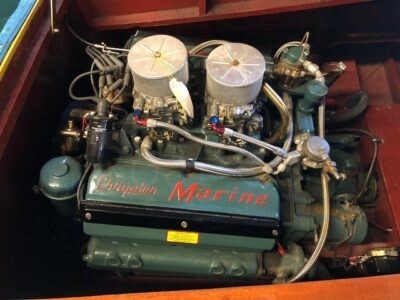 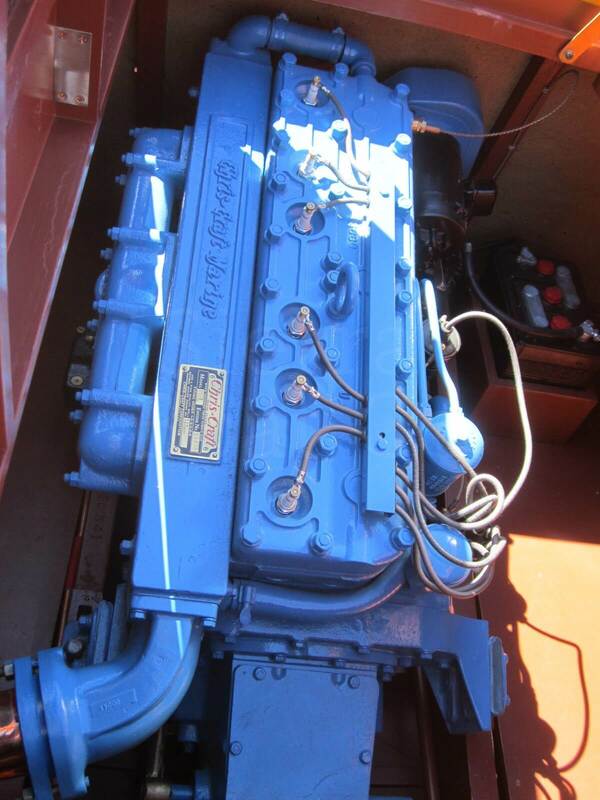 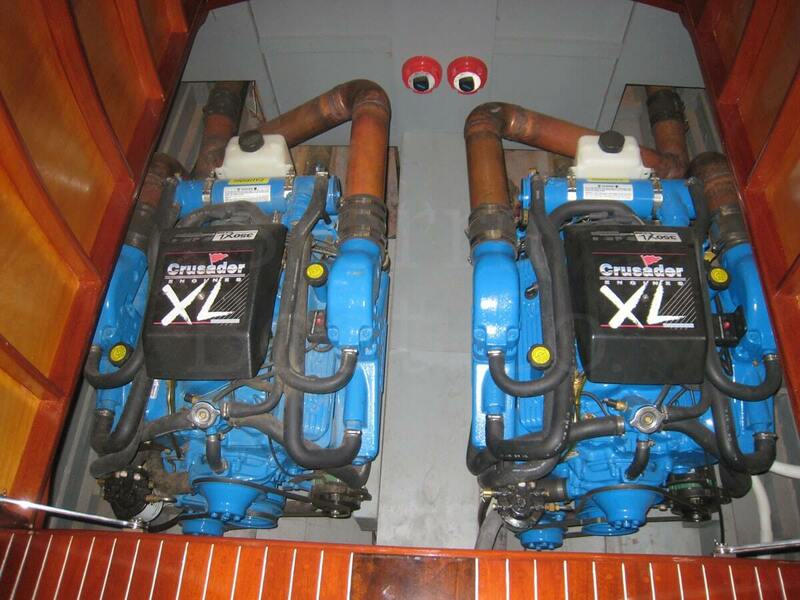 Power comes from a Crusader Marine, 454 XL engine. 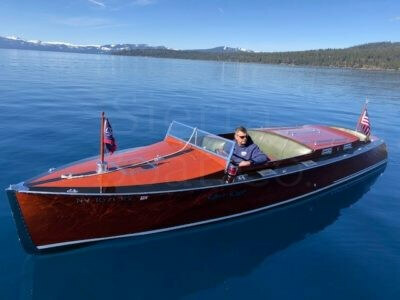 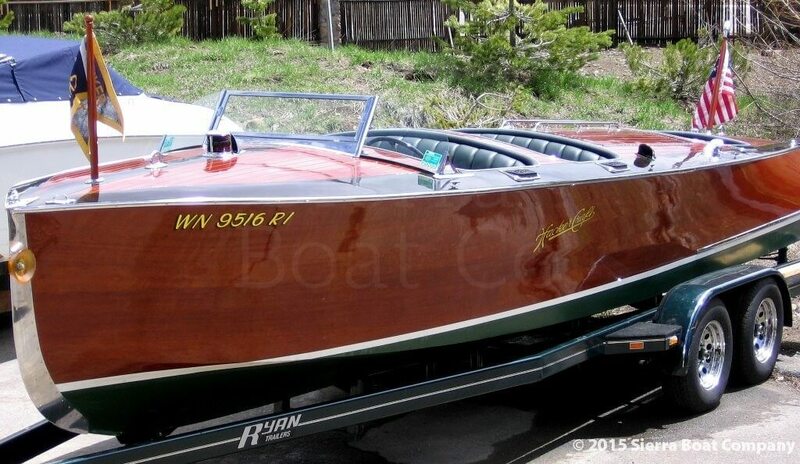 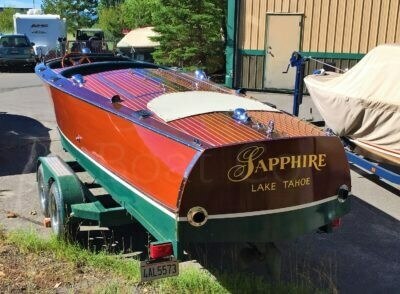 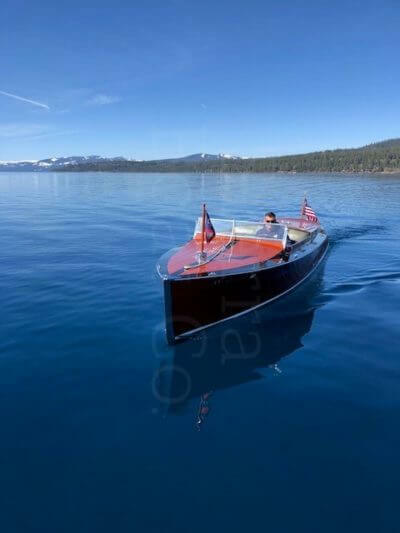 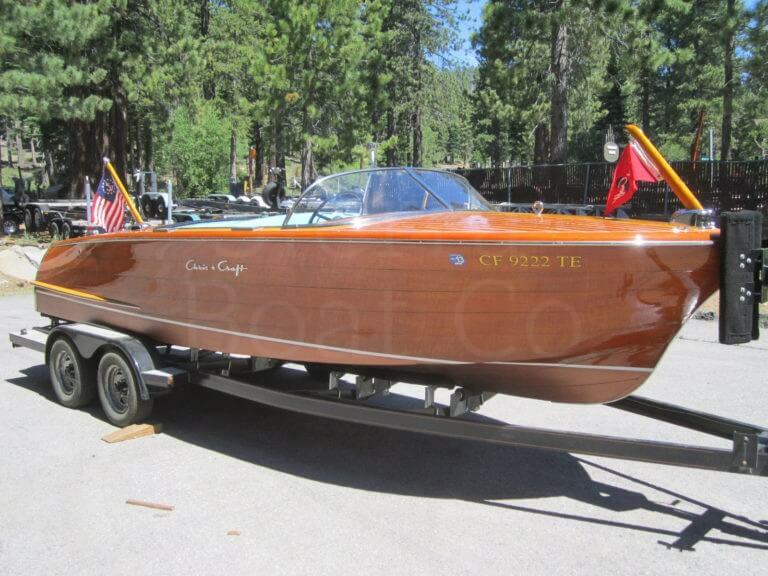 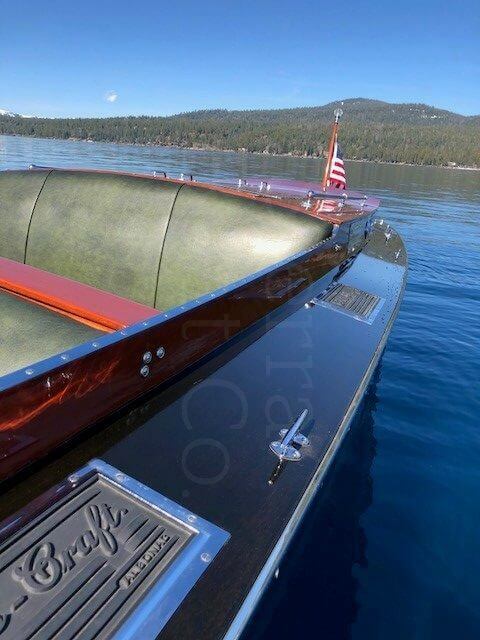 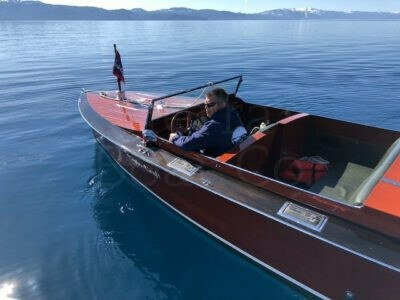 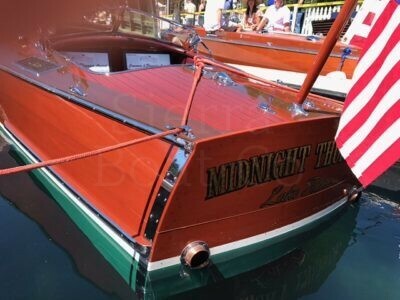 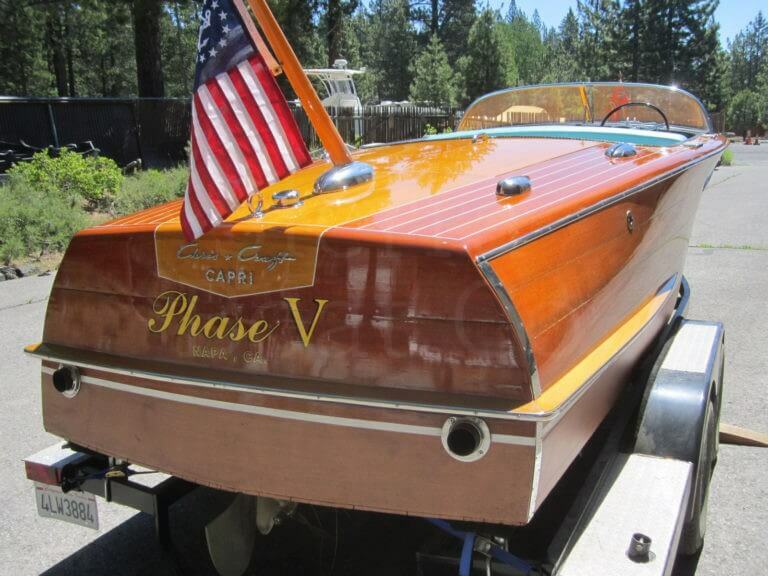 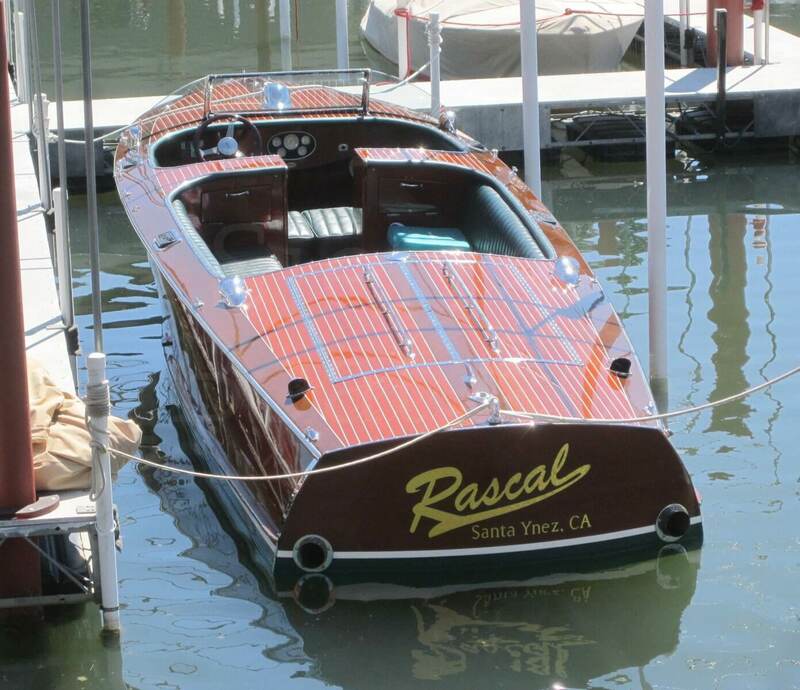 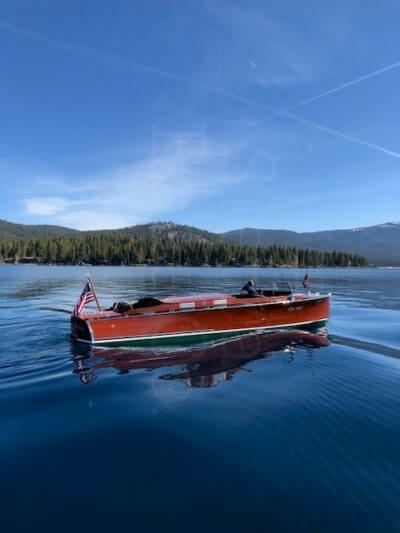 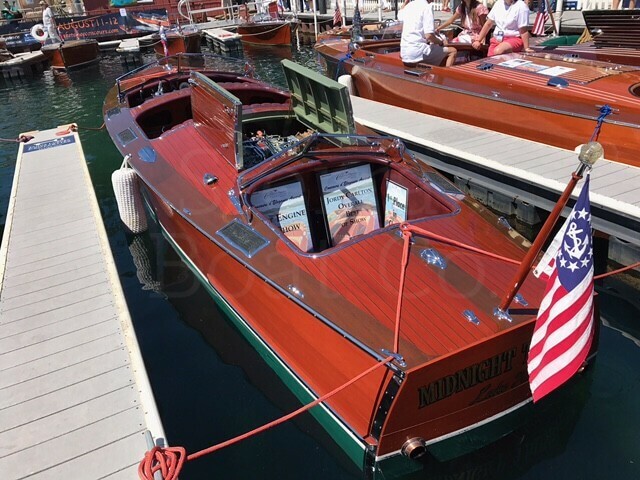 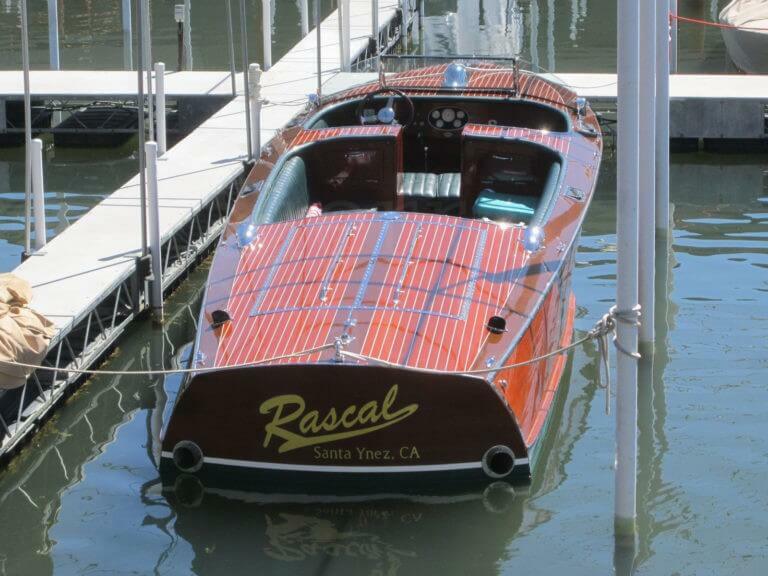 This is a low hour boat that has only been used on Lake Tahoe. 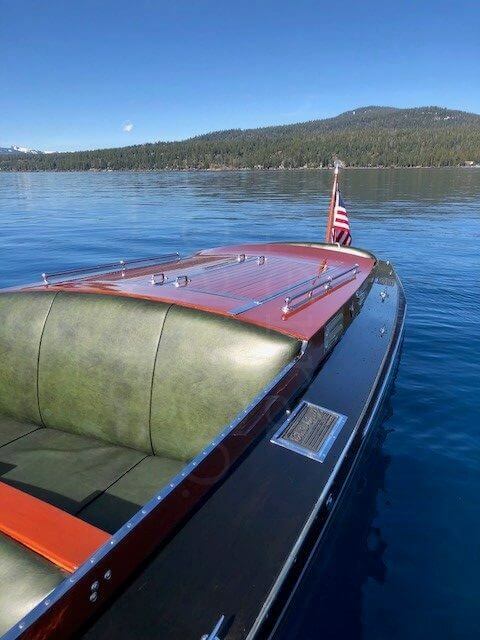 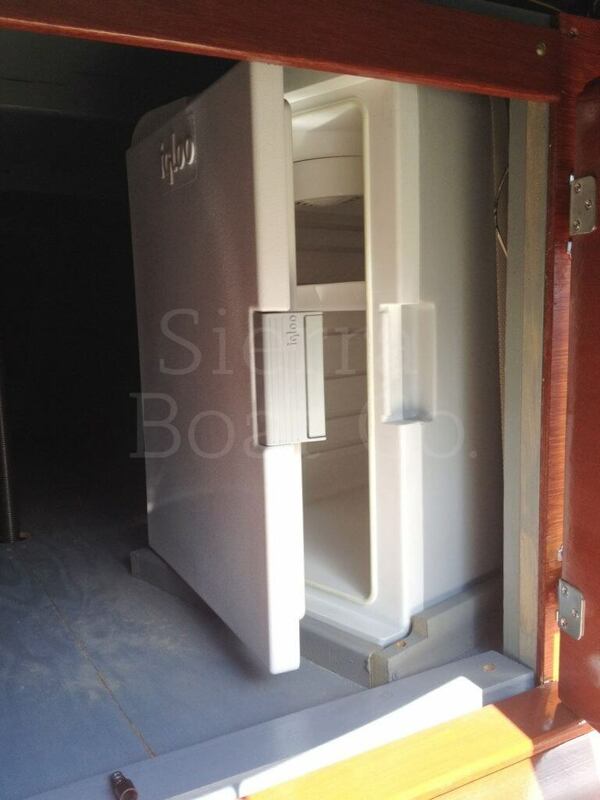 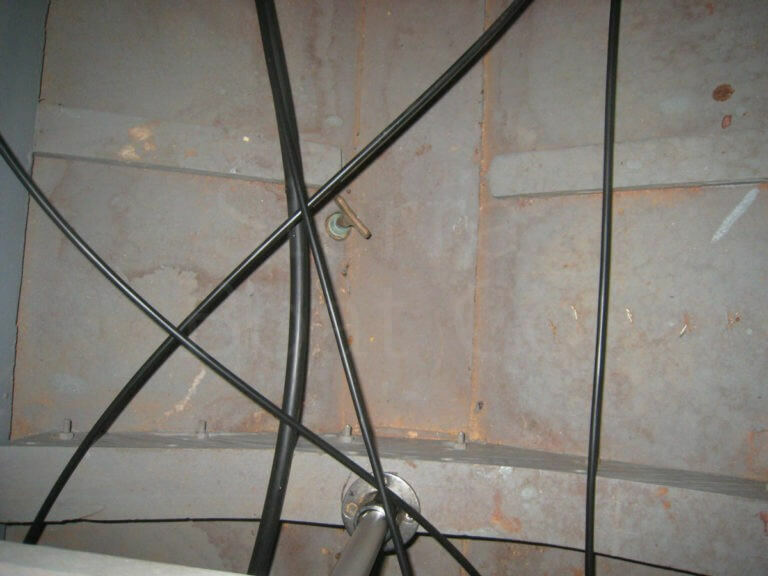 It comes on a fitted trailer and features a custom made cover with insulating deck pads. 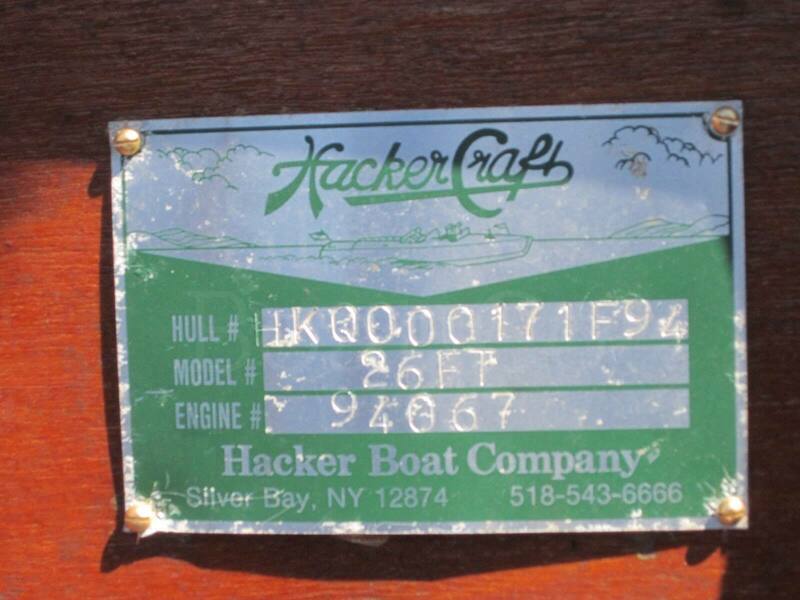 2001 Hacker-Craft 26ft Expanded Cockpit Runabout. Hacker-Craft builds some of the finest, new construction runabouts around. 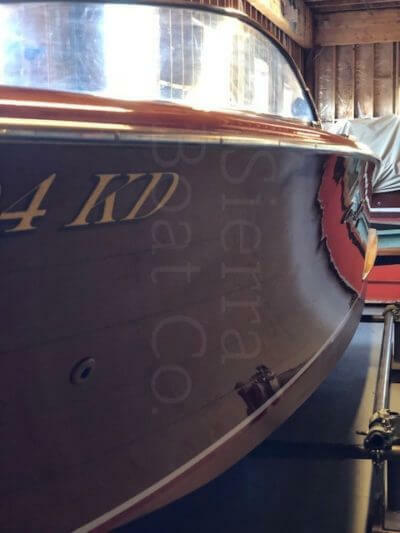 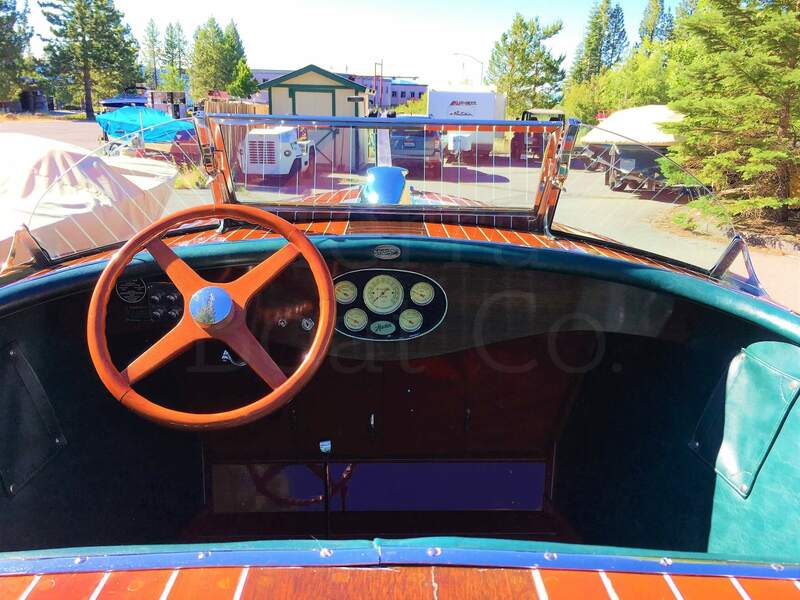 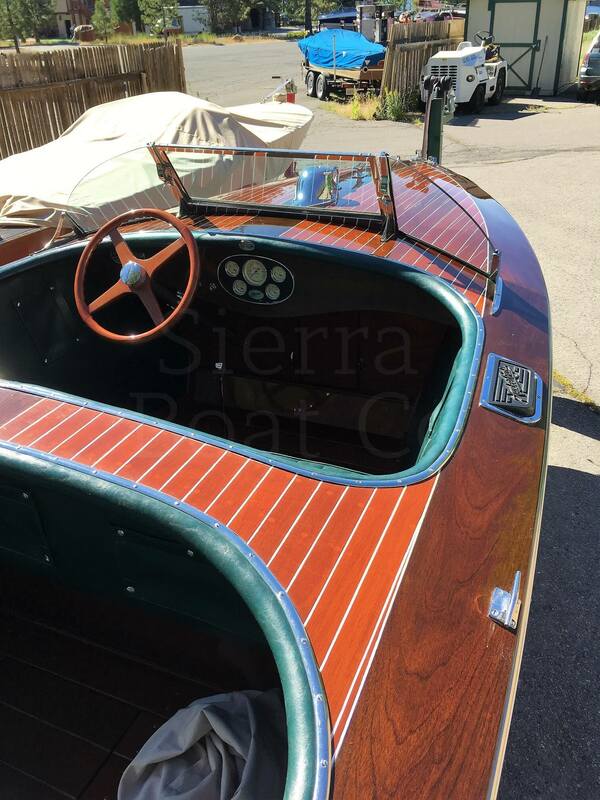 Sierra Boat has a lot of history taking care of these boats and they are very well suited to Tahoe’s rough lake conditions. 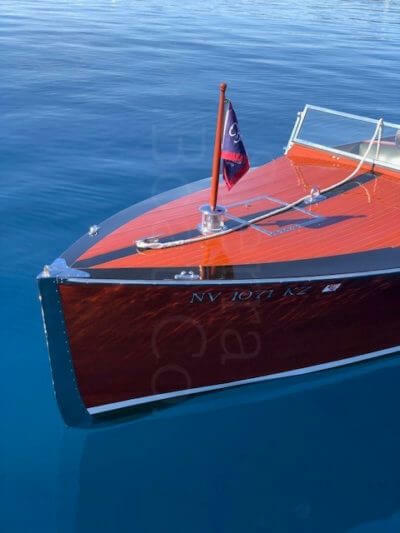 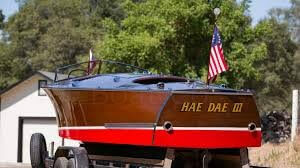 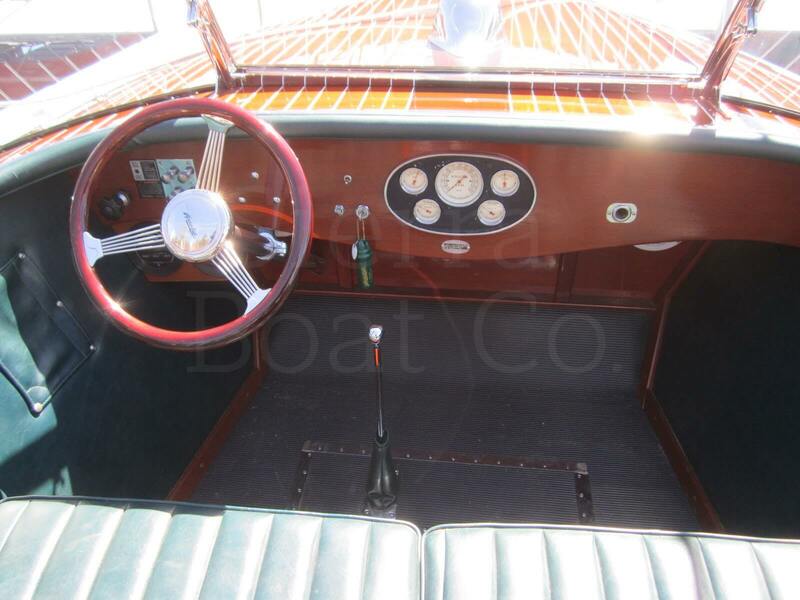 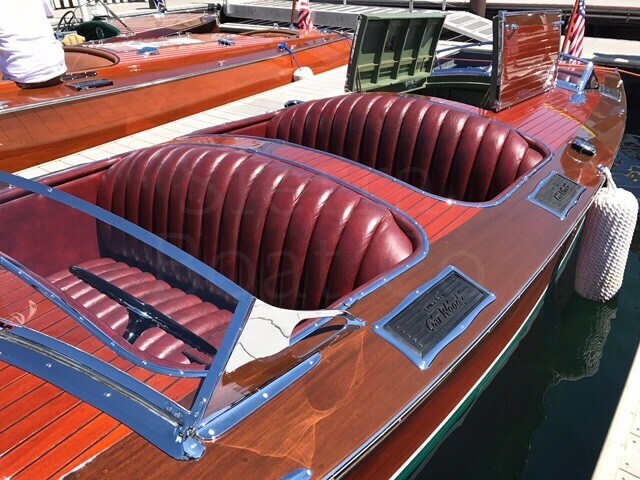 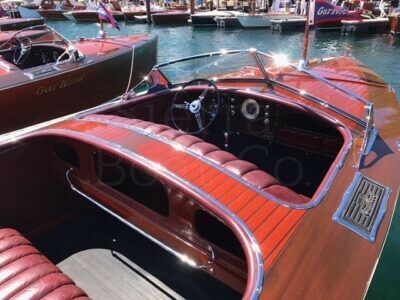 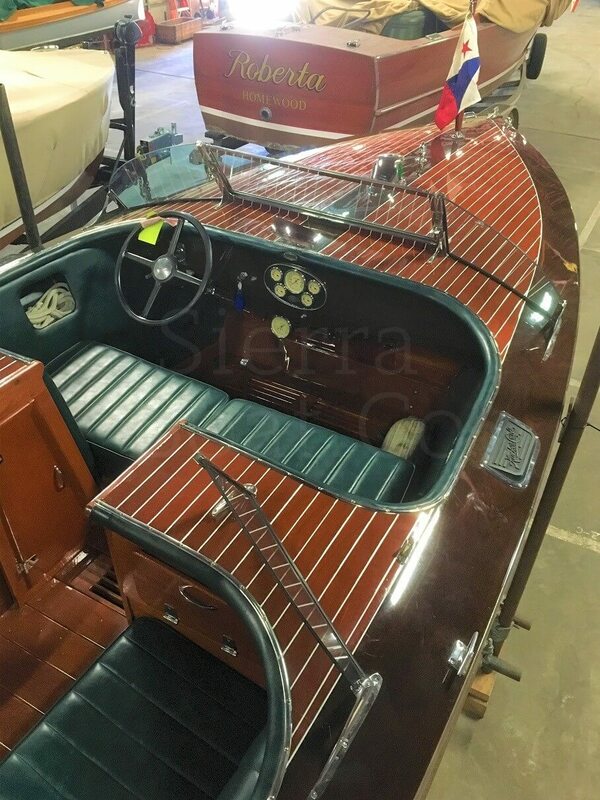 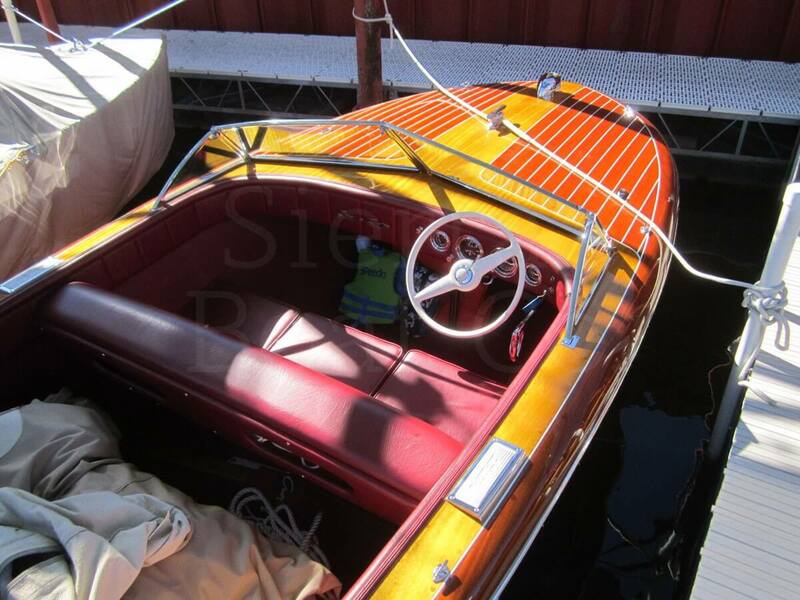 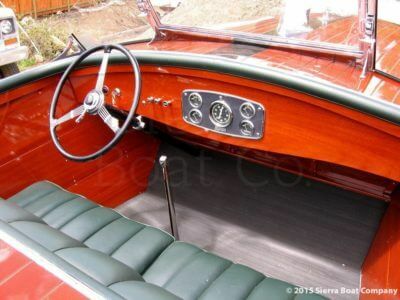 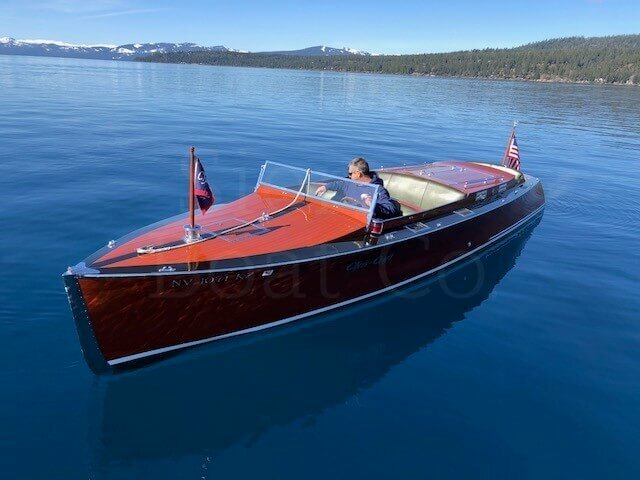 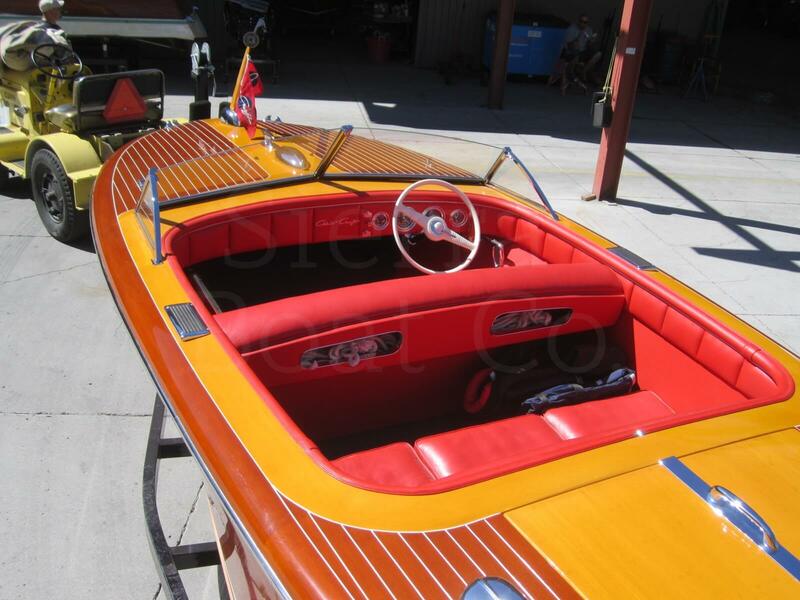 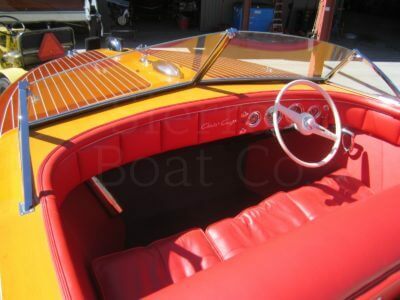 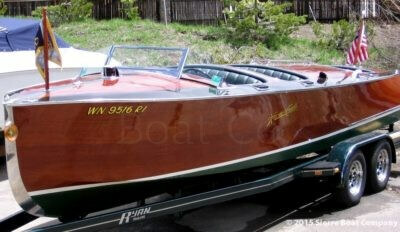 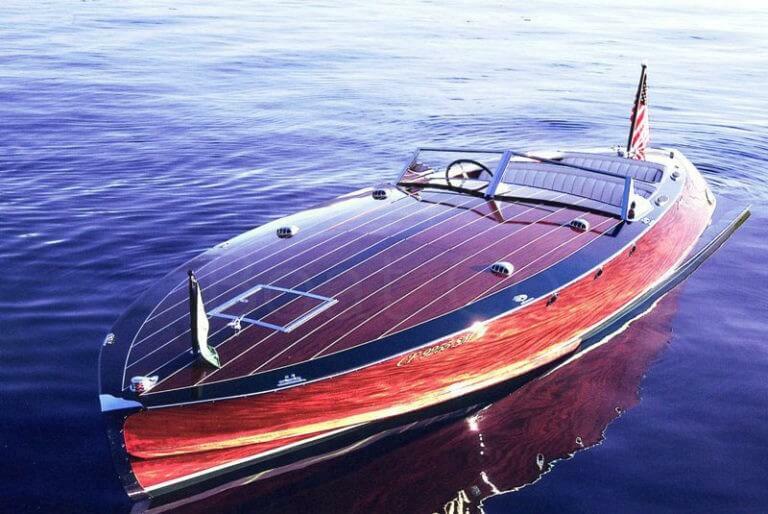 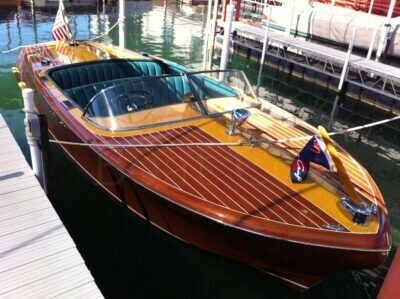 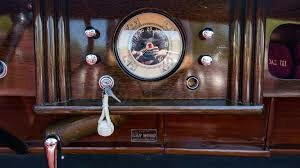 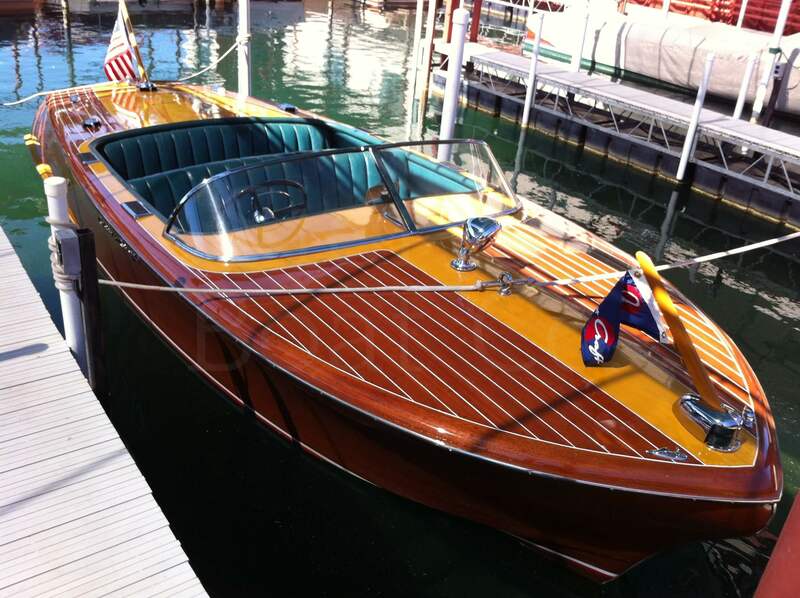 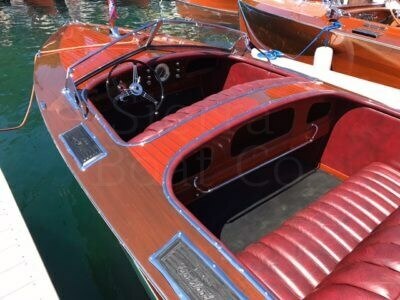 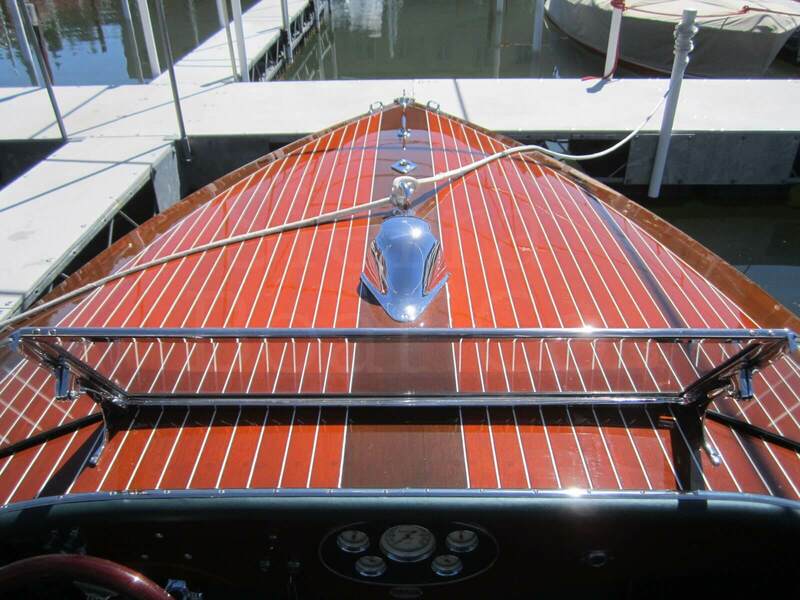 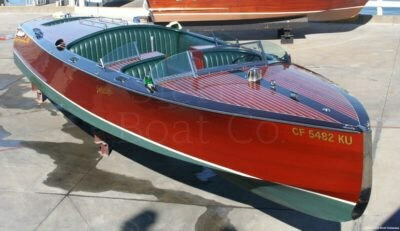 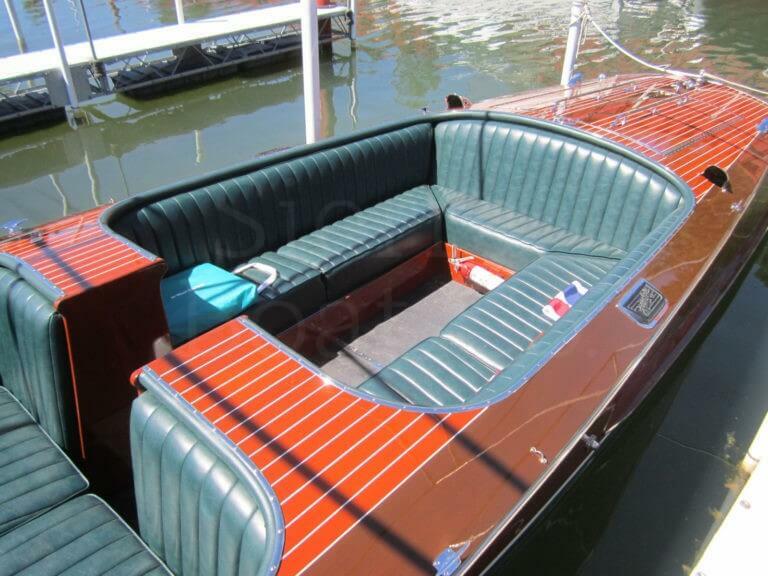 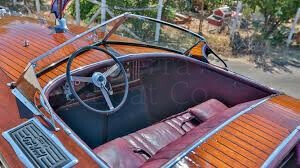 The designers at Hacker-Craft started with the antique Hacker designs of the 30’s and updated them for modern boating. The most notable feature of this model is the expanded middle cockpit. 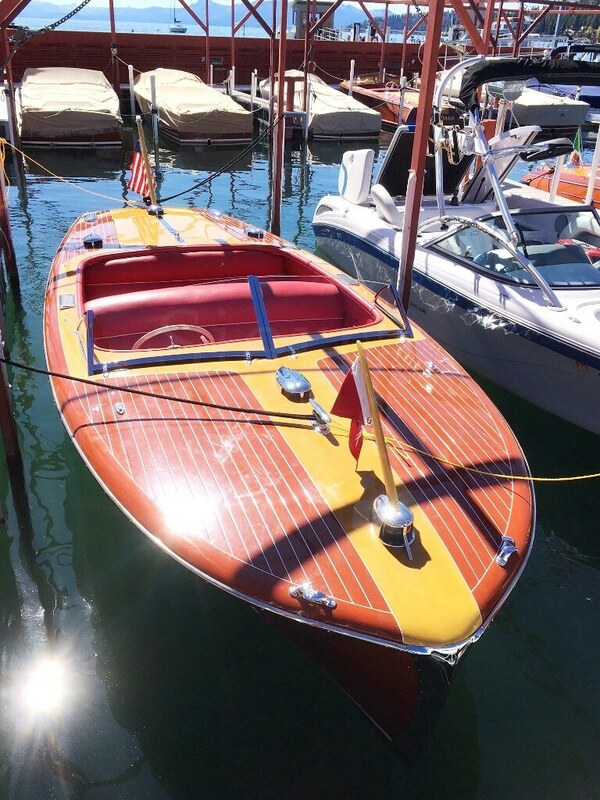 The original boats of this size would have had a three-cockpit configuration. The expanded cockpit gives the boat more seating and a layout that is easier to get around in. 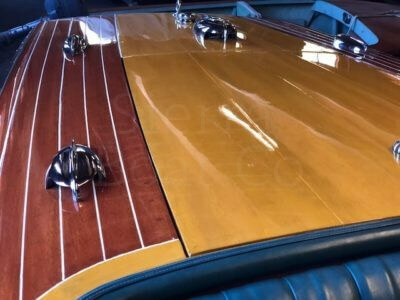 Hacker-Crafts feature modern all epoxy glued construction. 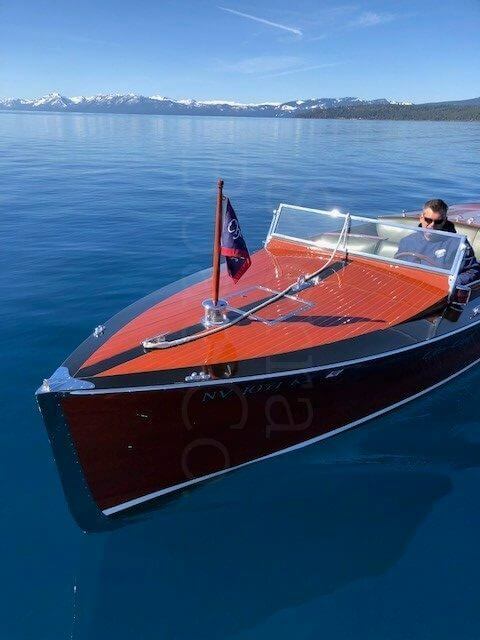 This means that they don’t need to soak up to float. It also means they are a much stronger boat and seam movement is virtually eliminated. They also feature a modern deep vee hull for excellent ride. 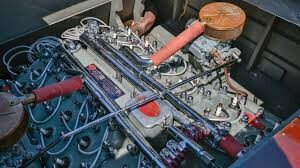 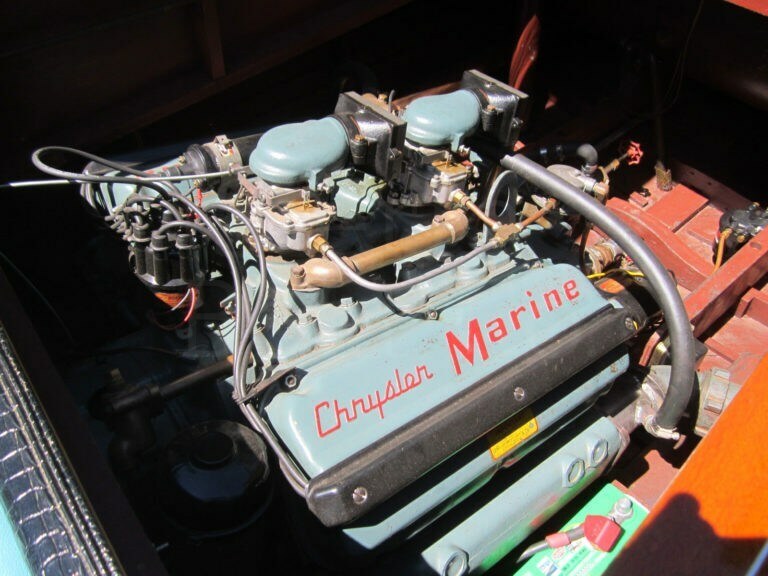 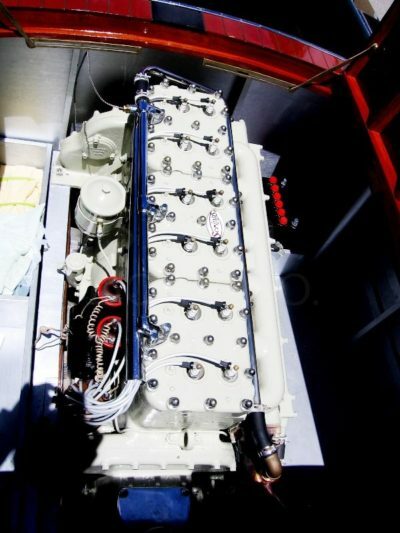 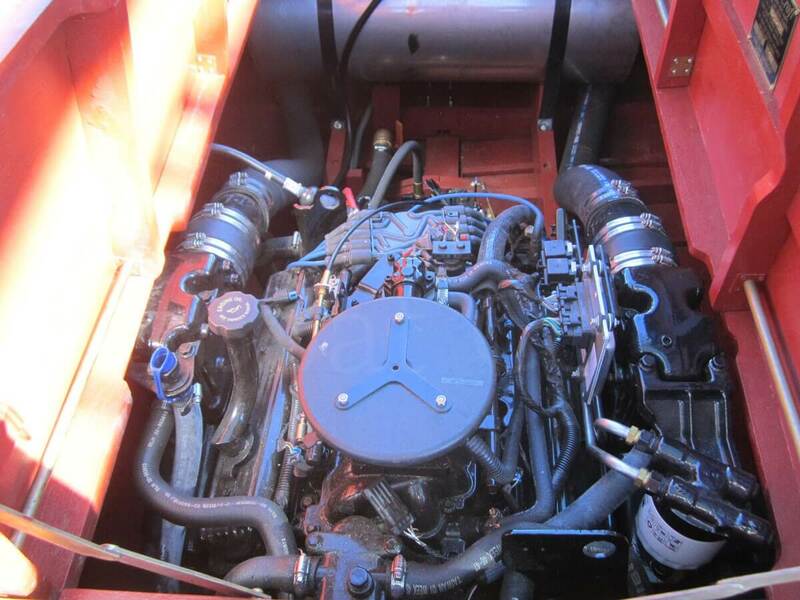 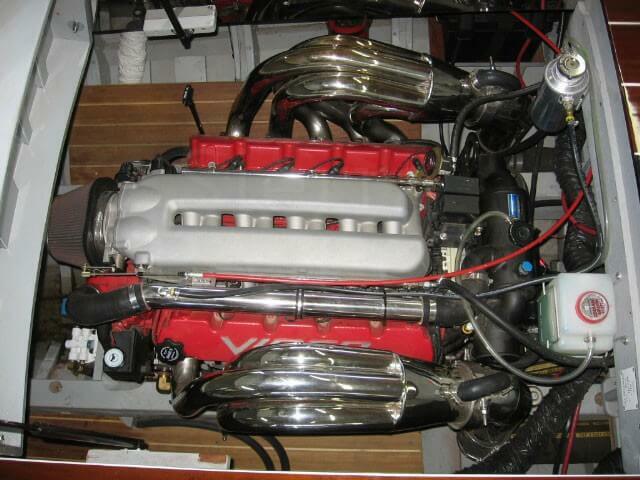 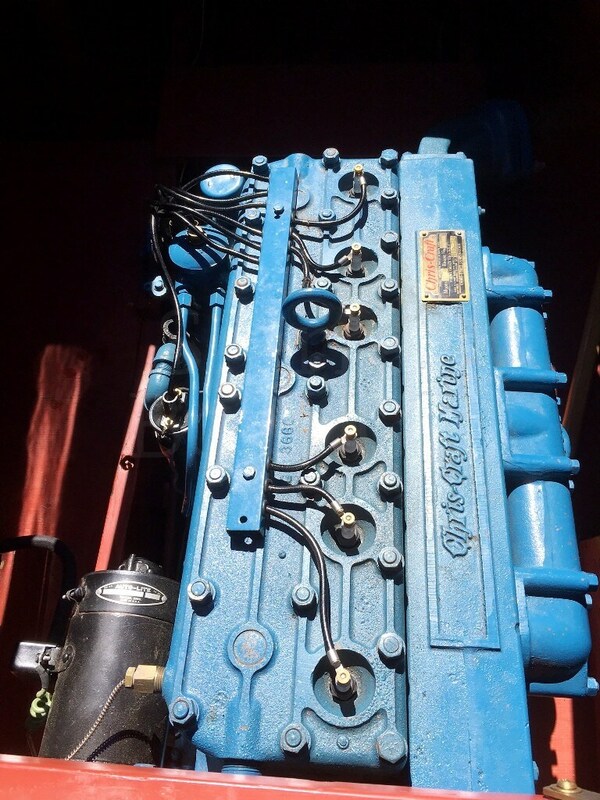 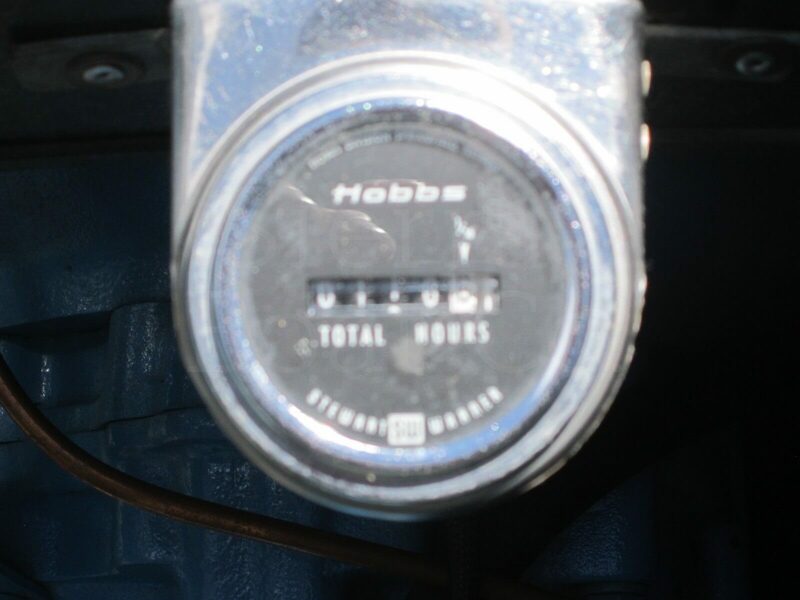 Power comes from a 5.7L fuel injected Crusader V-8. 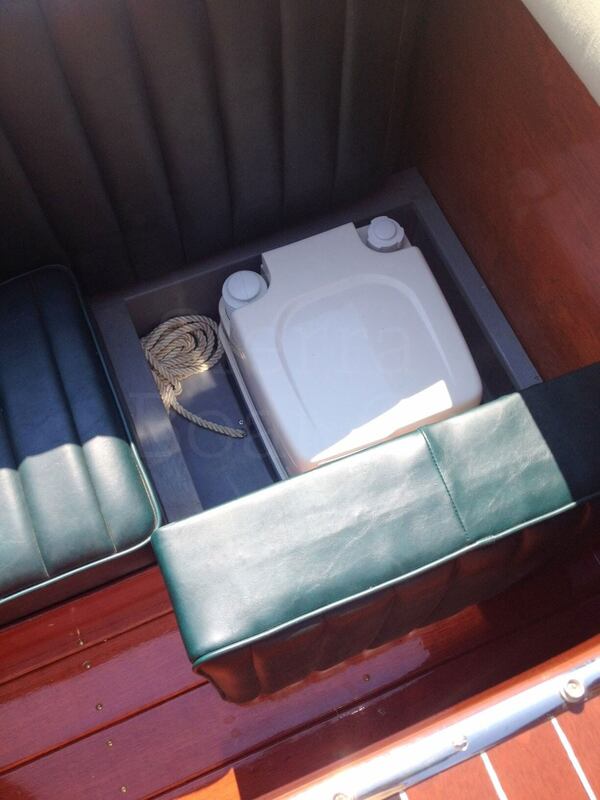 The boat also features a bow thruster for excellent maneuverability when docking. This is a very unique 2003 StanCraft 29ft Torpedo. 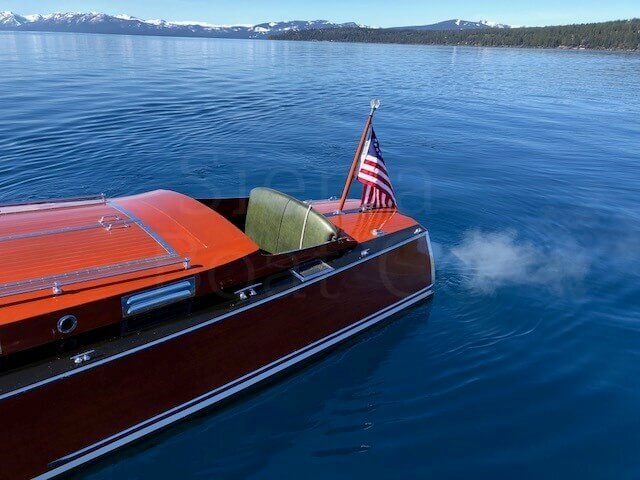 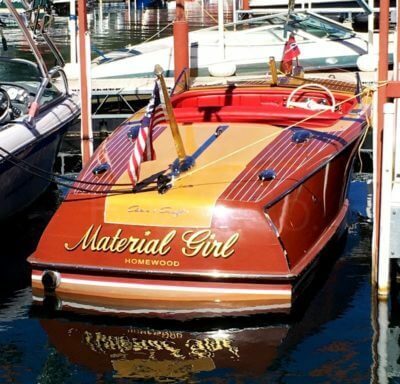 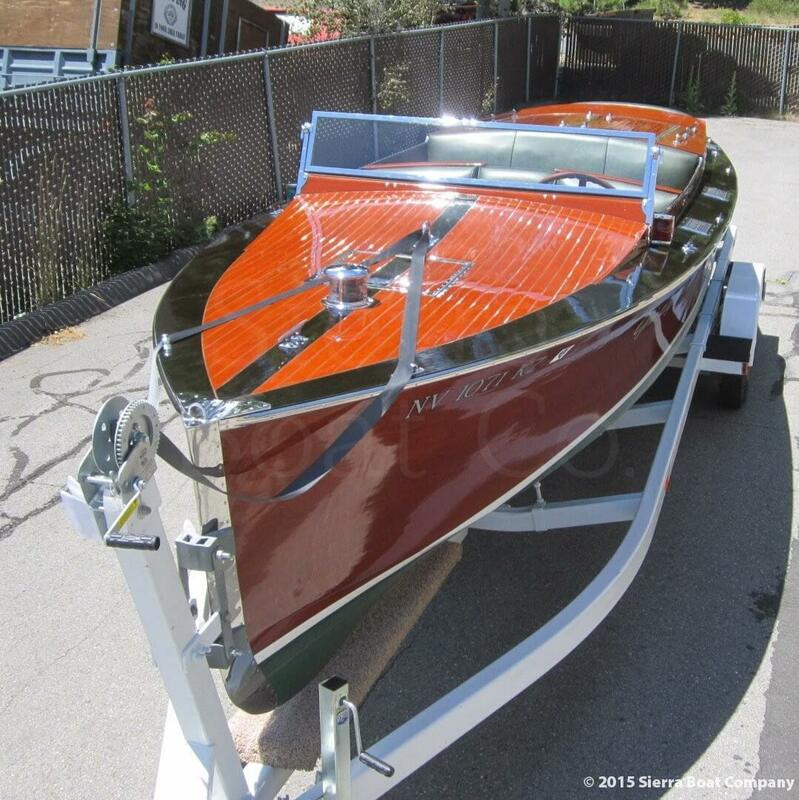 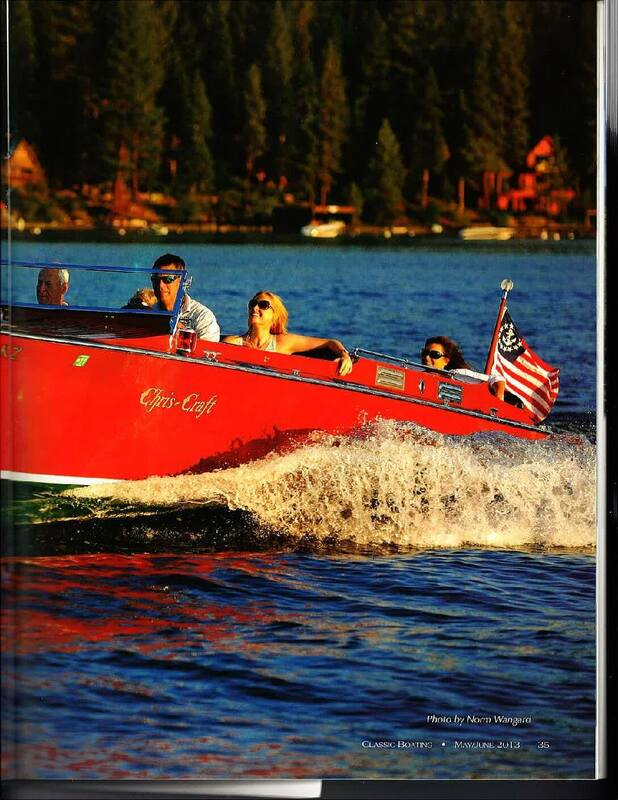 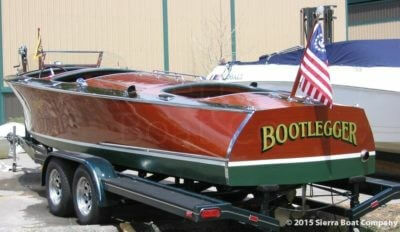 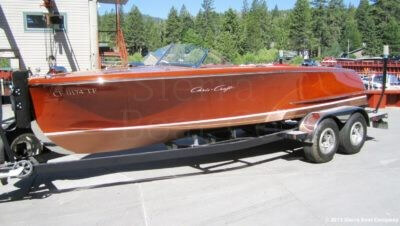 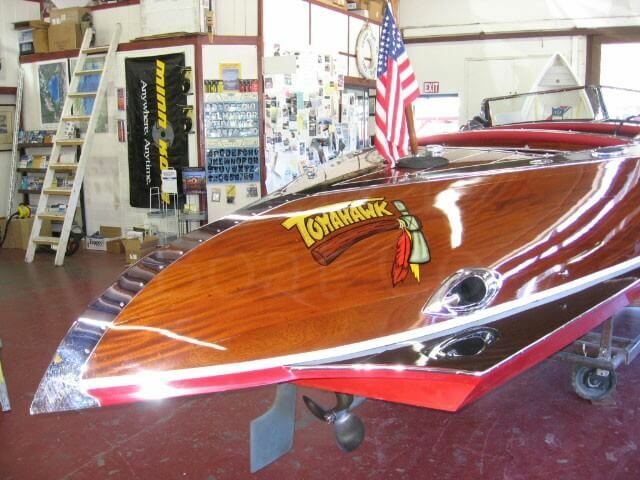 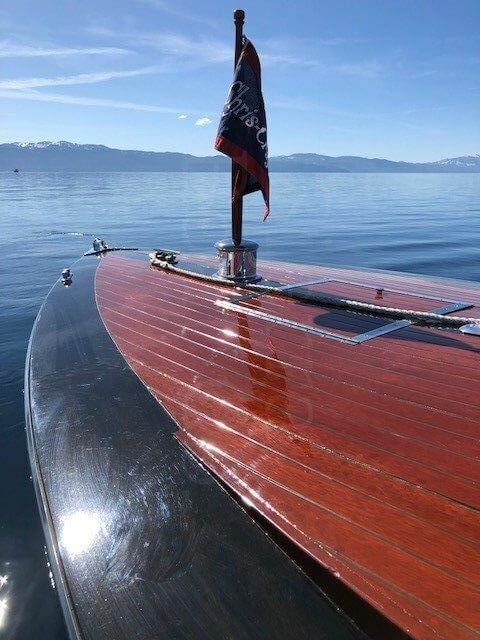 StanCraft is a well-established custom boat builder in the Coeur d’Alene, Idaho area. 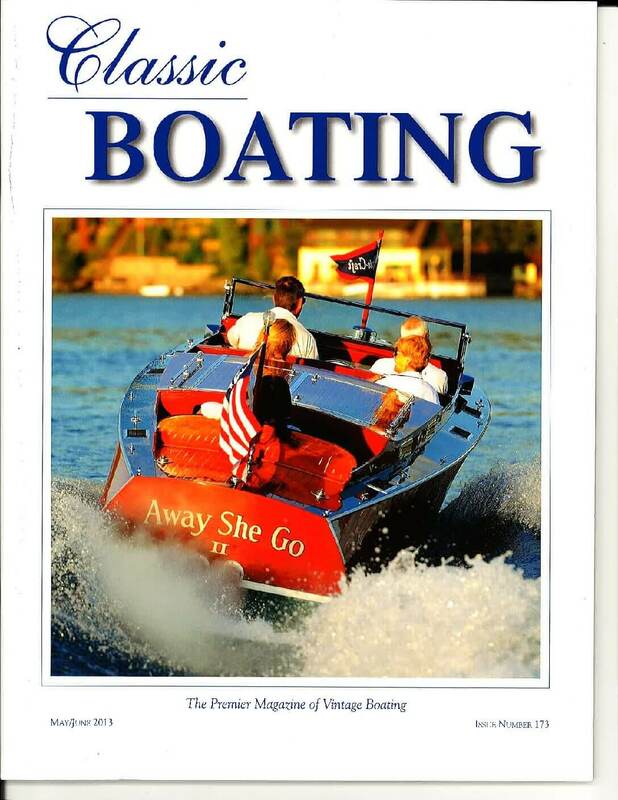 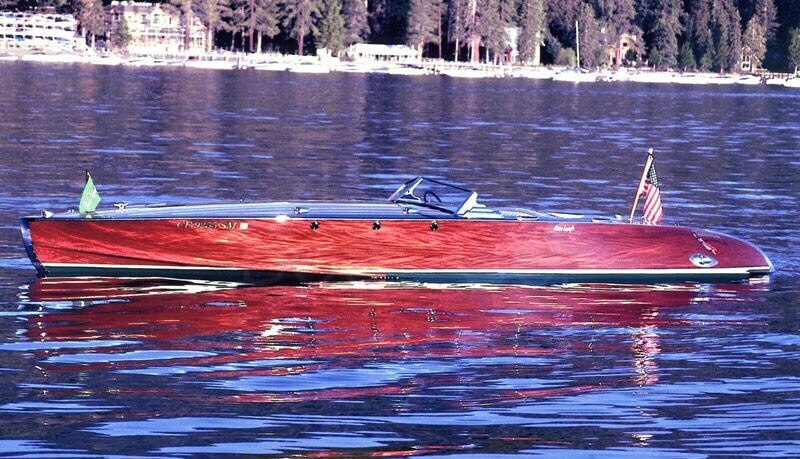 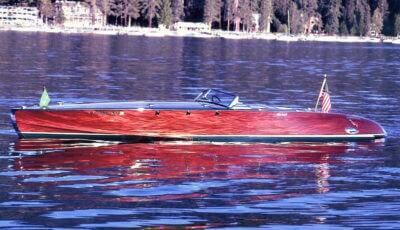 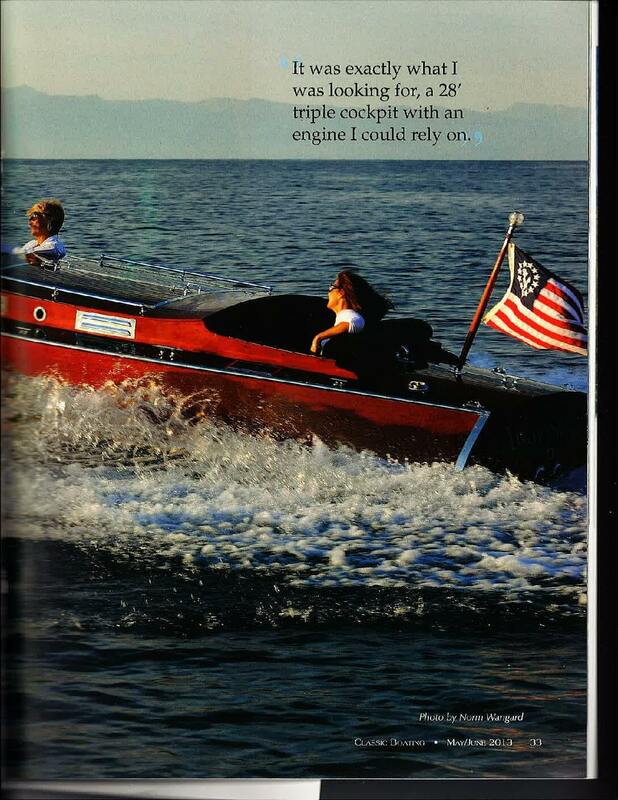 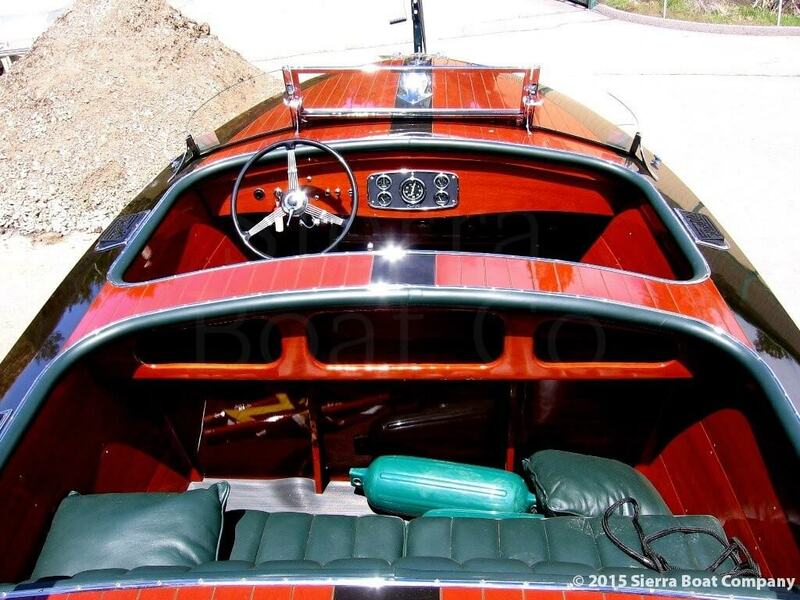 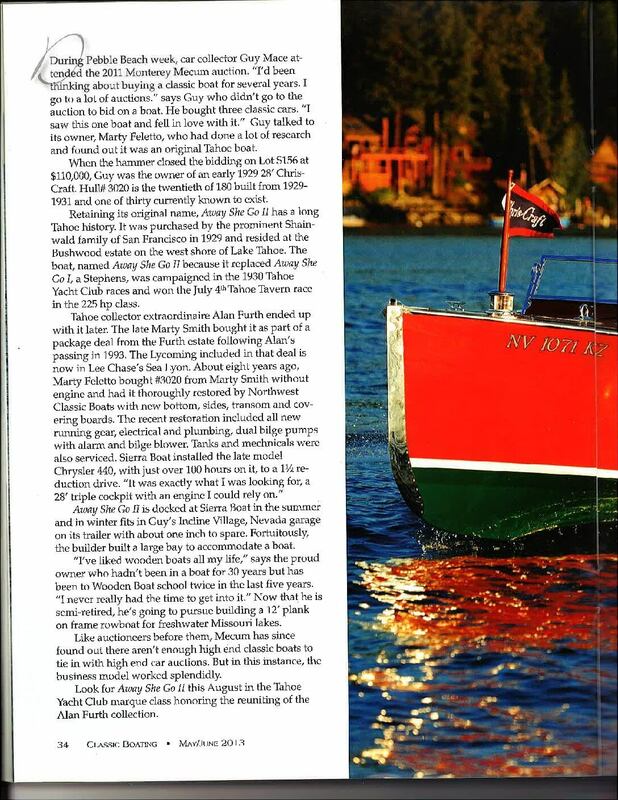 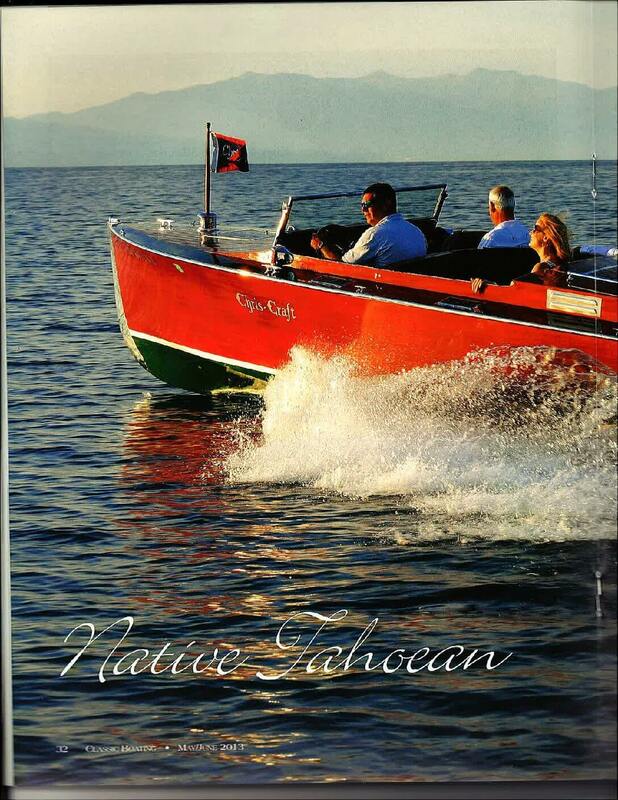 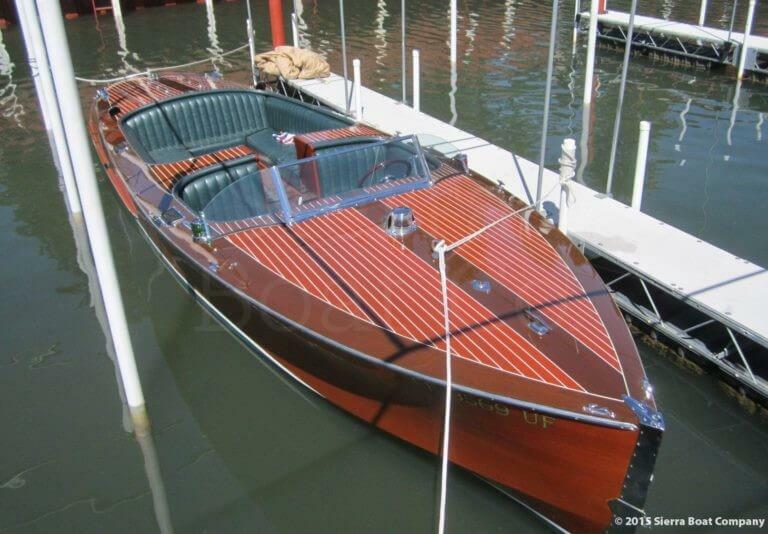 Stan Young began building boats in Flathead Lake, Montana in the 30’s. 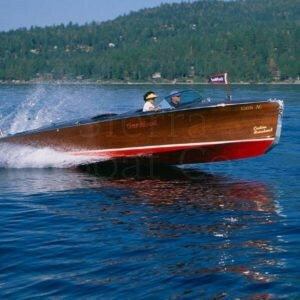 His most iconic design was the 22’ Torpedo model which debuted in 1945. 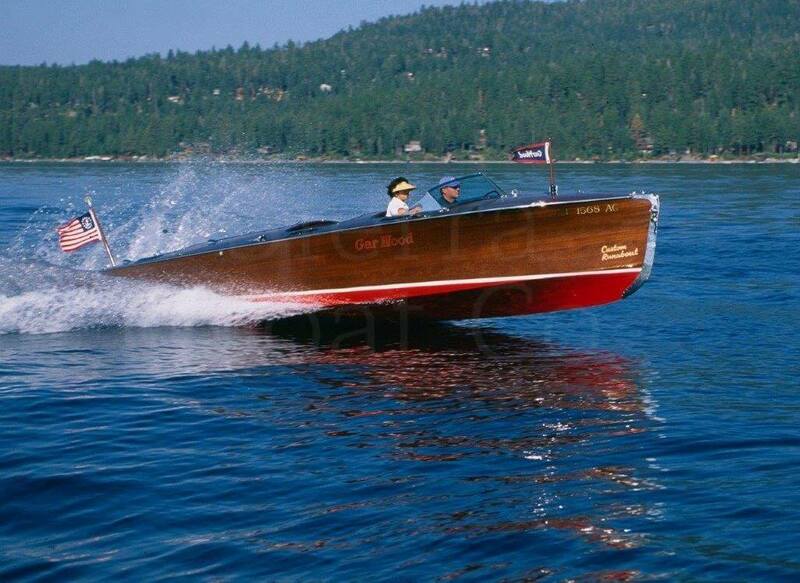 His son, Sid, took over the company in the 60’s and moved the operation to Coeur d’Alene, where he started building “new” wooden StanCraft’s. The 29ft Torpedo is inspired by the 1945 design but had an up to date modern bottom with a smooth and level ride. 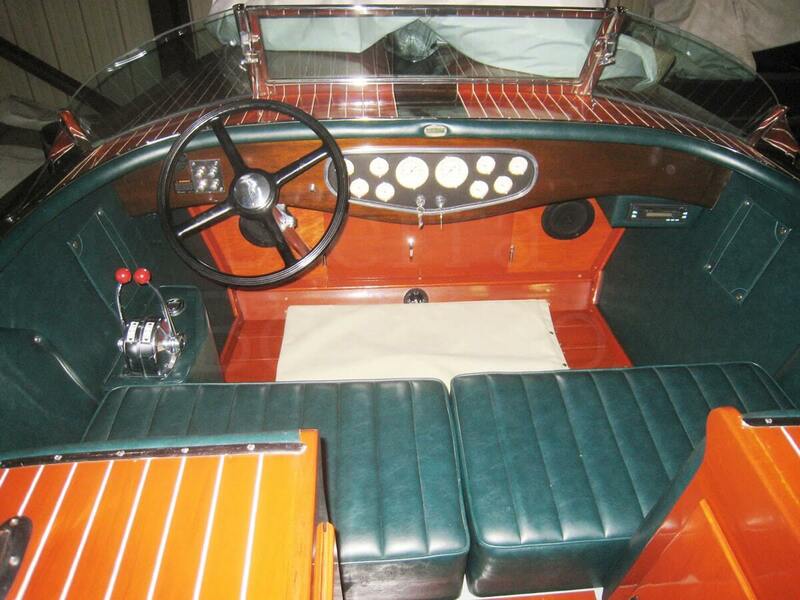 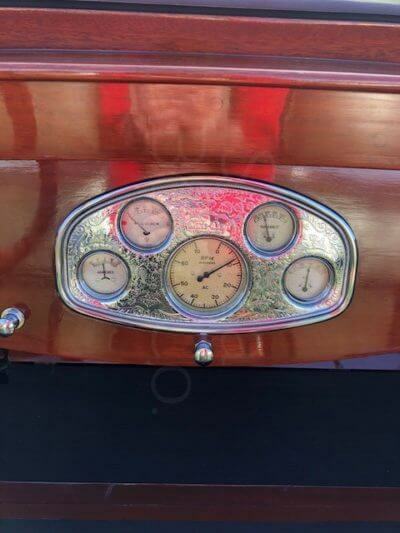 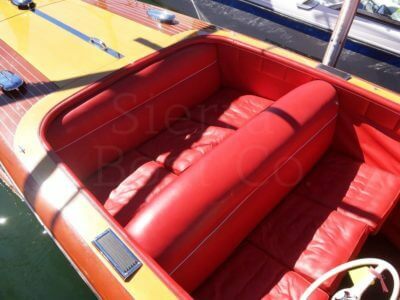 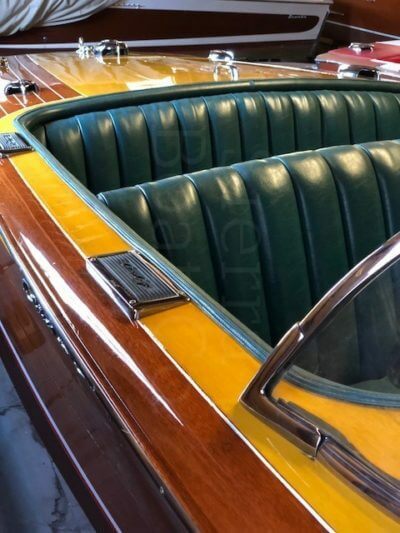 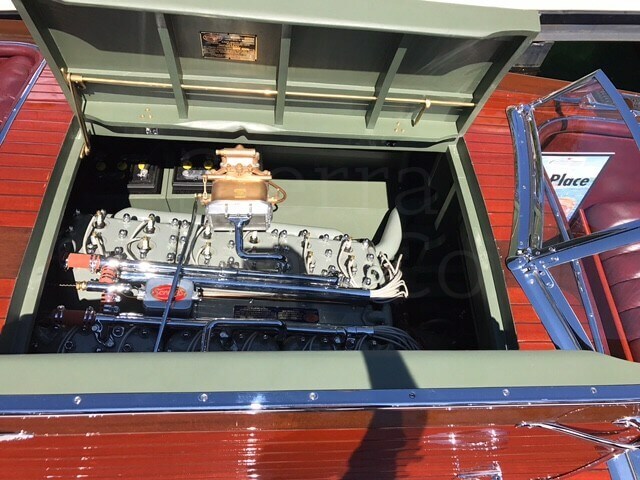 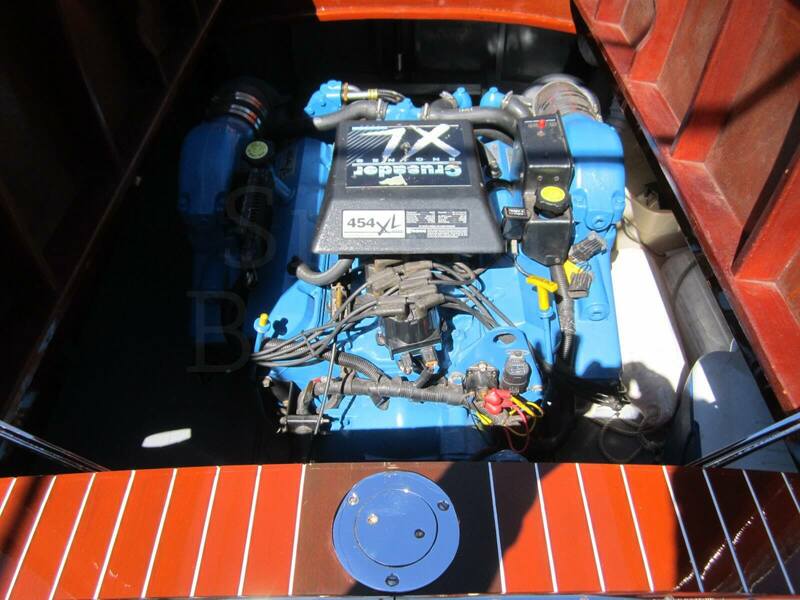 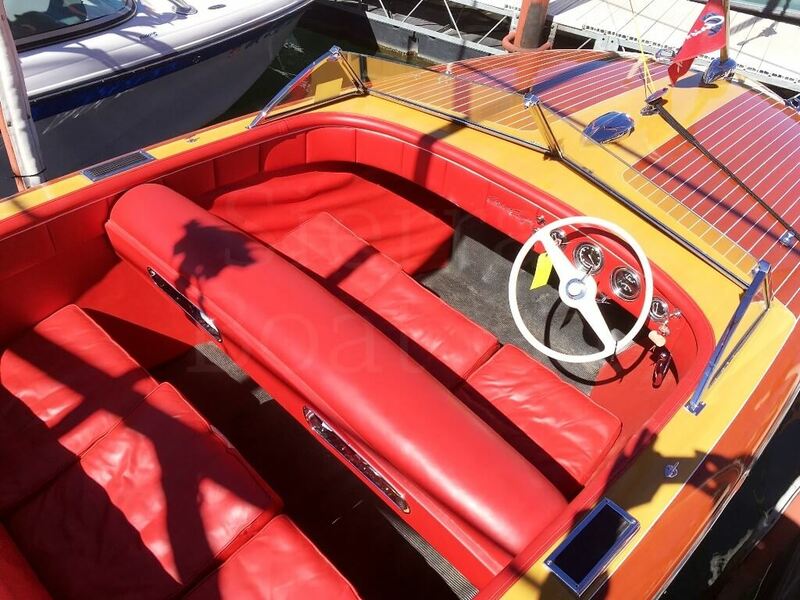 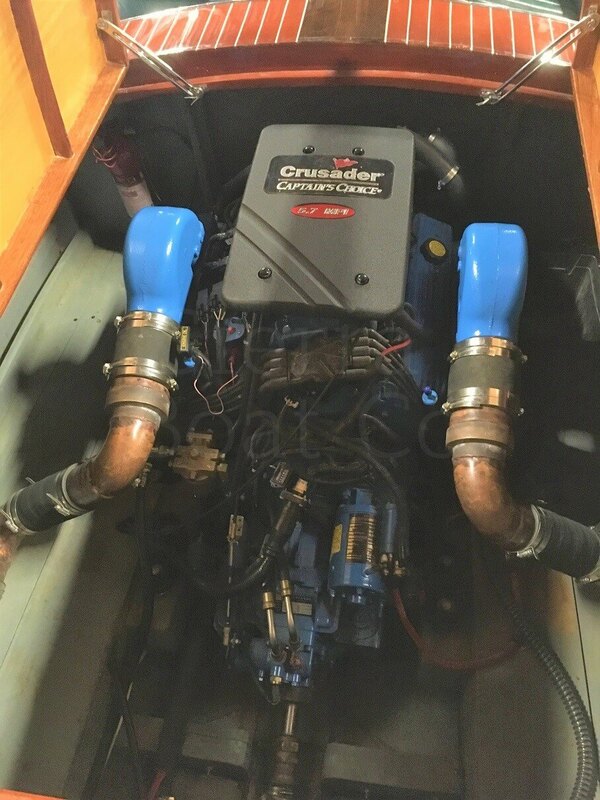 The boat was custom built for the current and original owner and features many hardware items unique to this boat. 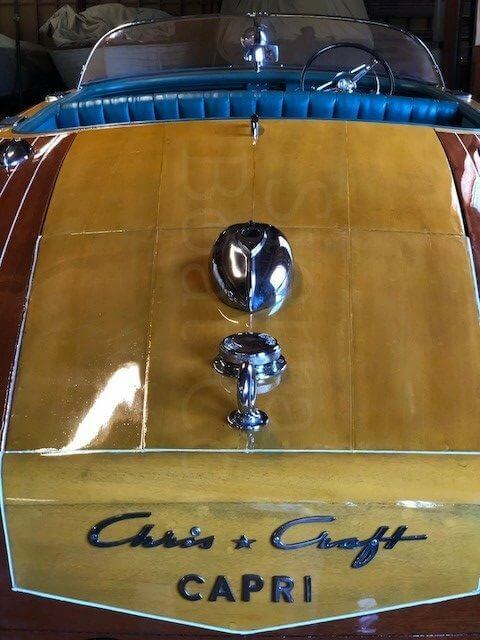 The windshield alone is a work of art. 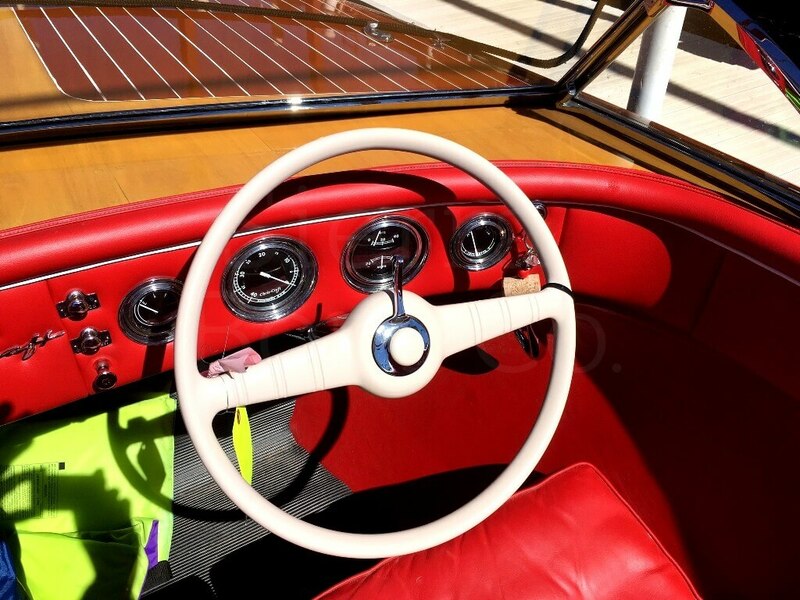 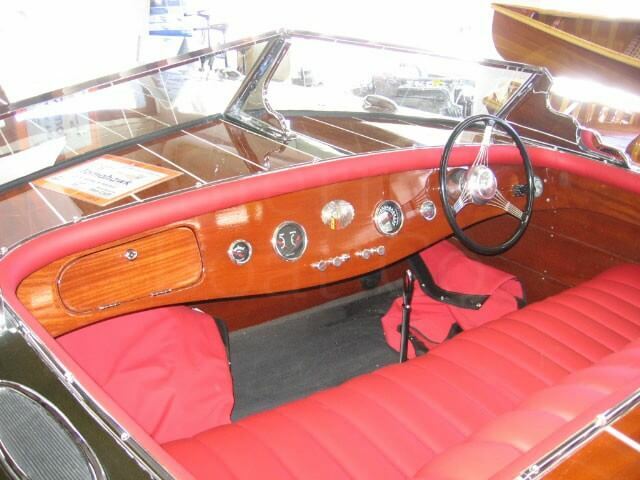 The interior features genuine red leather upholstery. 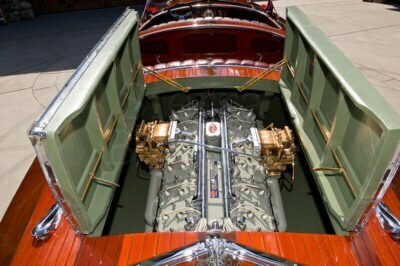 It is powered by an Ilmore V-10 based on the Dodge Viper engine, with only 74 original hours on it. 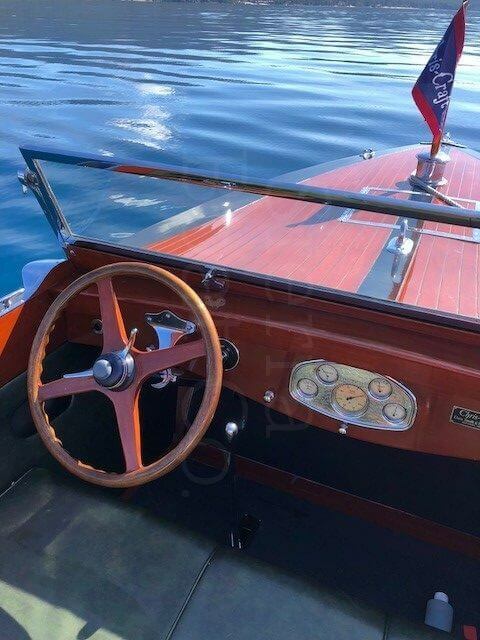 At 550 hp, this boat is no slouch. 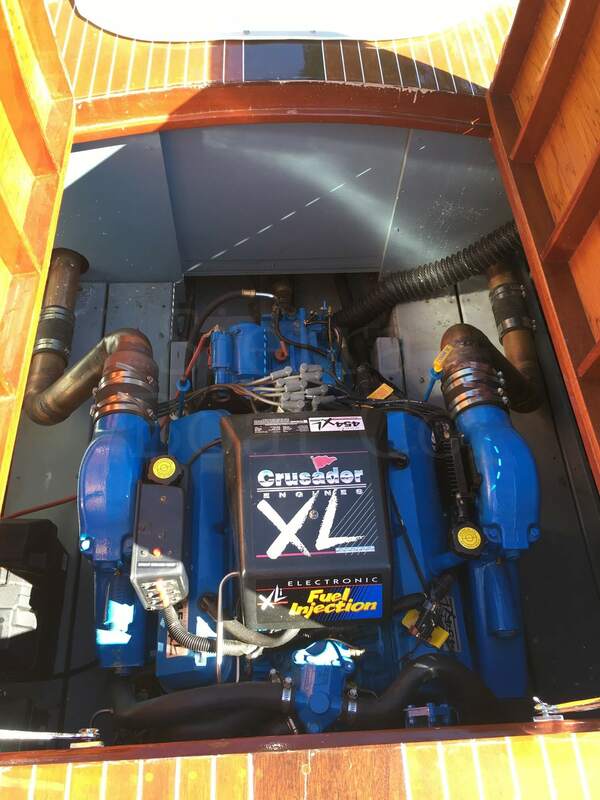 It also features a bow thruster for easy maneuvering. 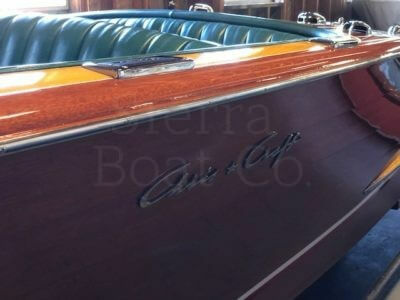 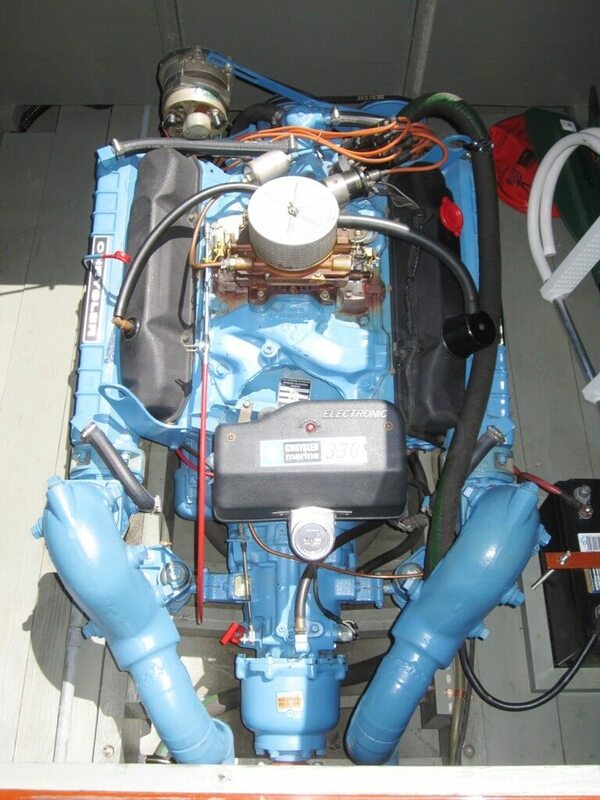 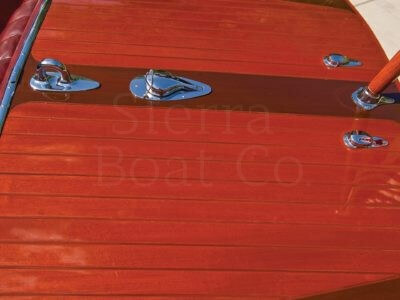 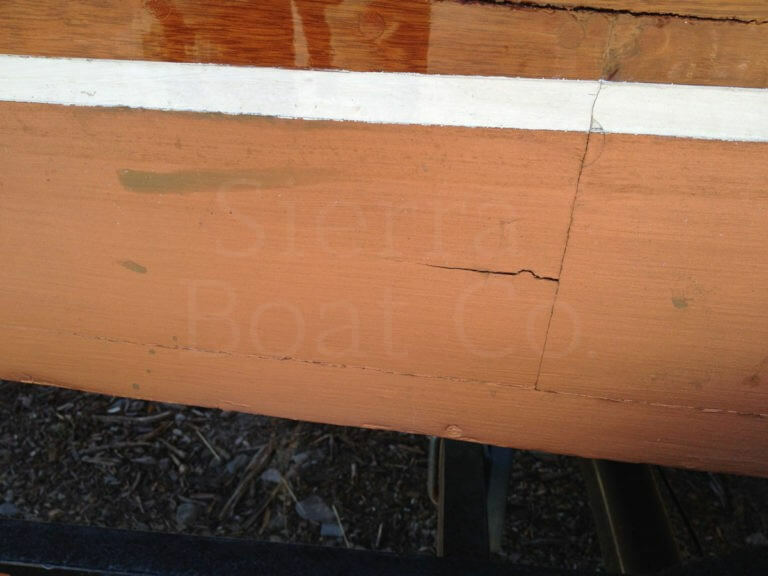 The boat has been maintained by Sierra most of its life and has always received top care. 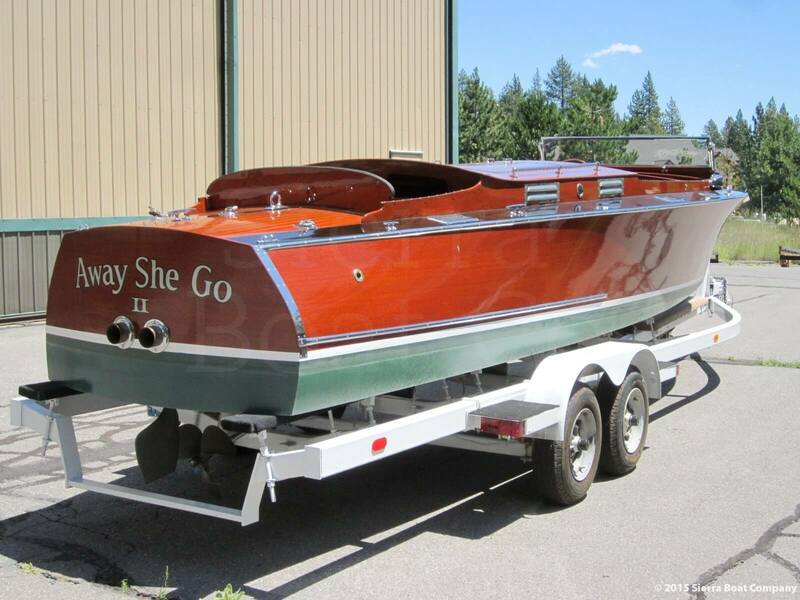 It comes on a tandem axle trailer.